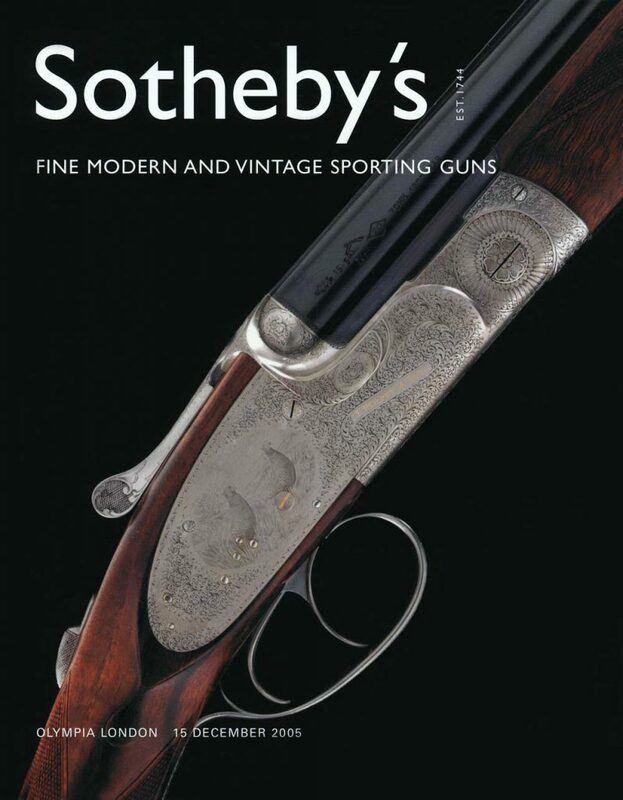 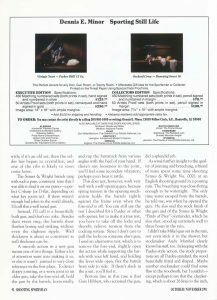 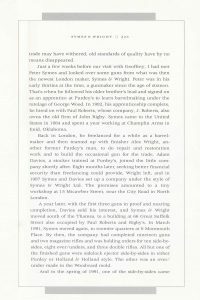 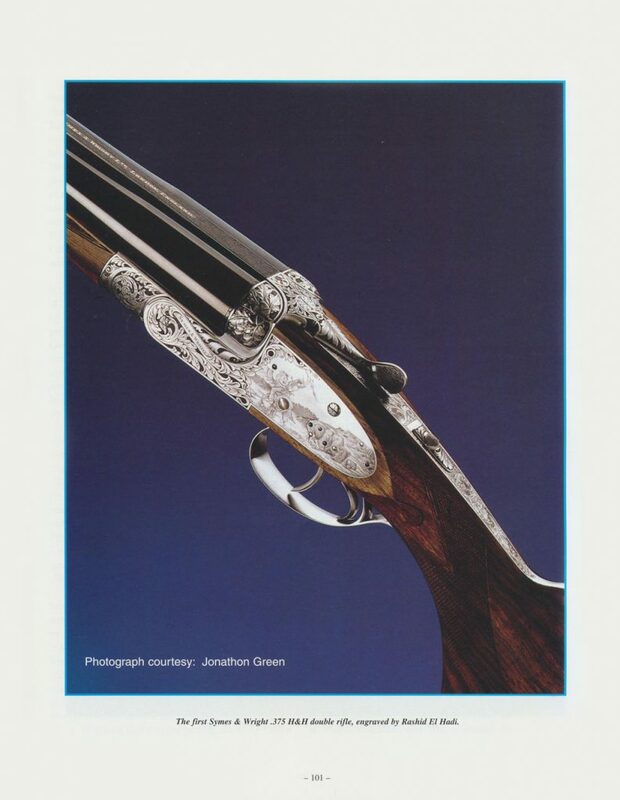 We’ve collected dozens of books, magazines, and auction catalogues featuring Symes & Wright’s history, critical acclaim, advertisements, gun photographs, etc., and those are included below. 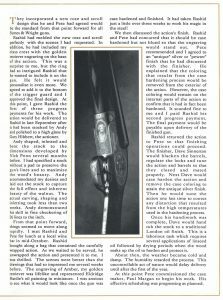 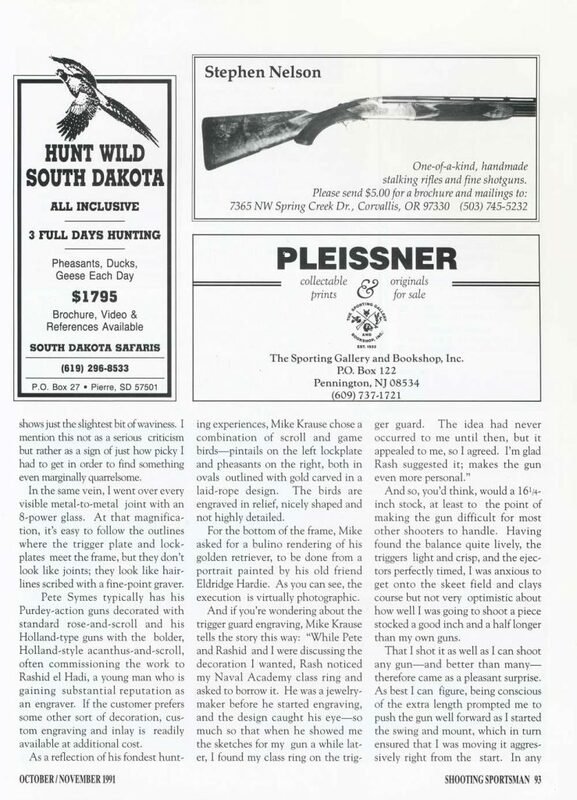 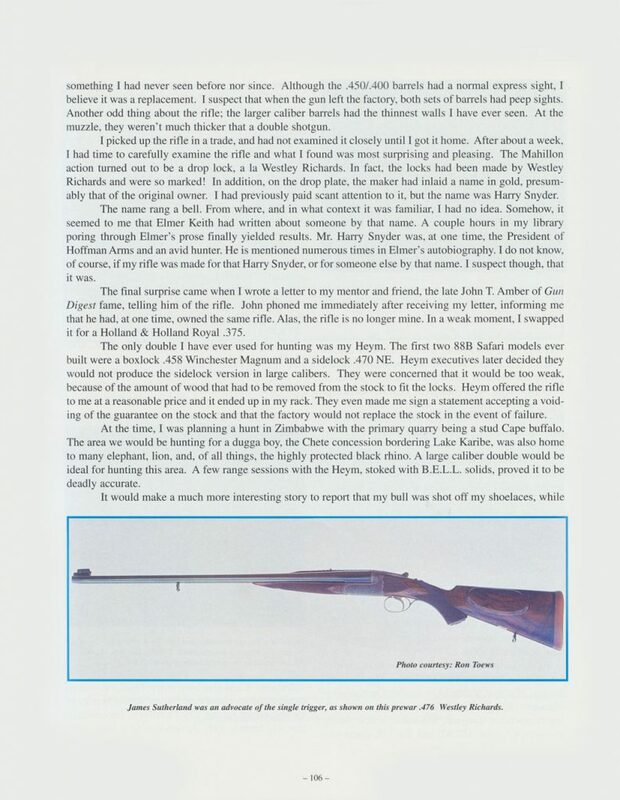 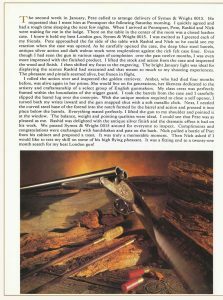 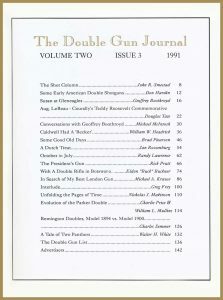 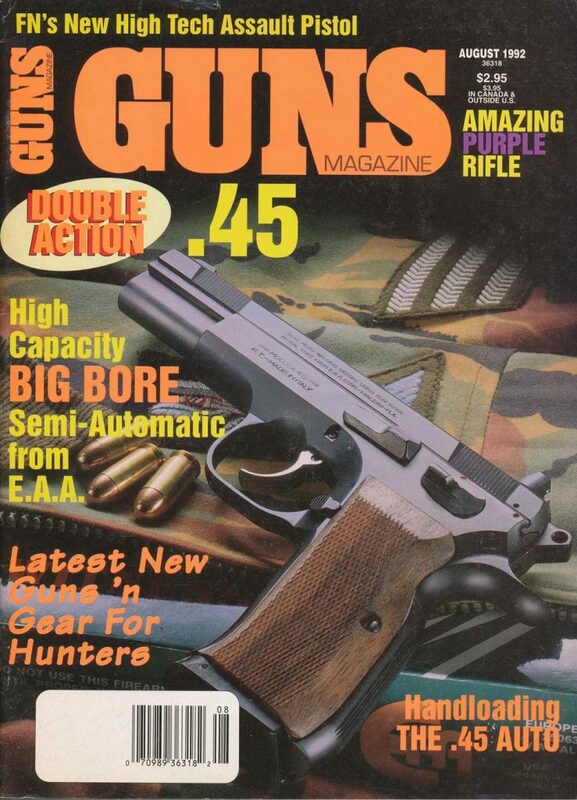 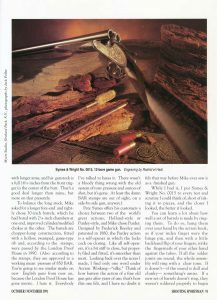 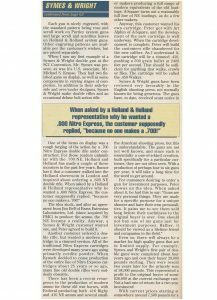 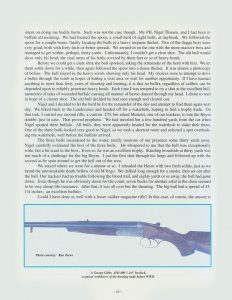 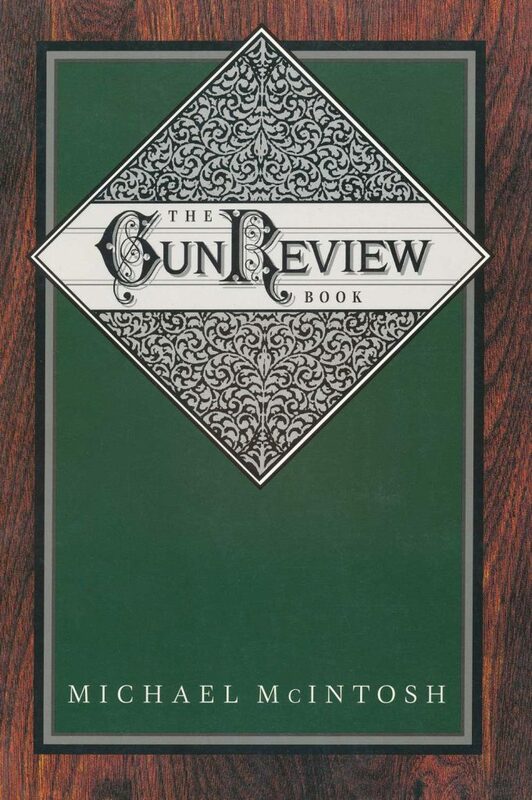 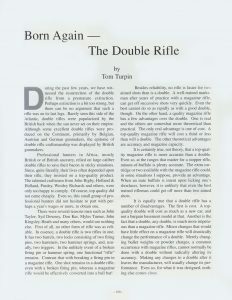 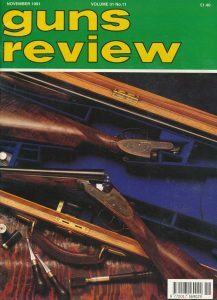 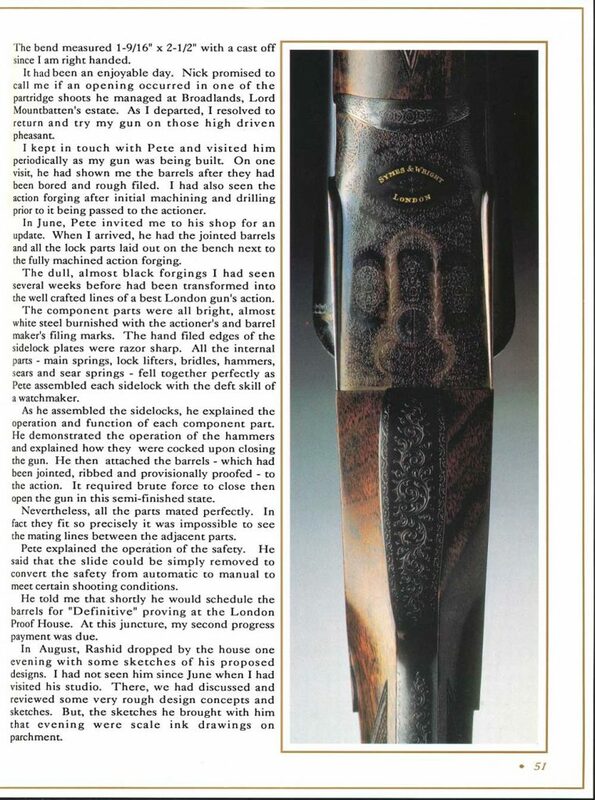 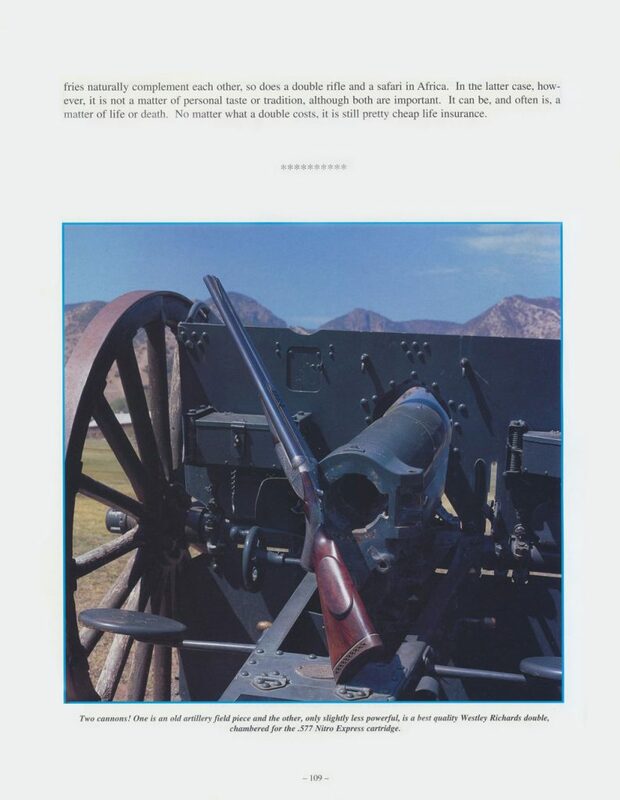 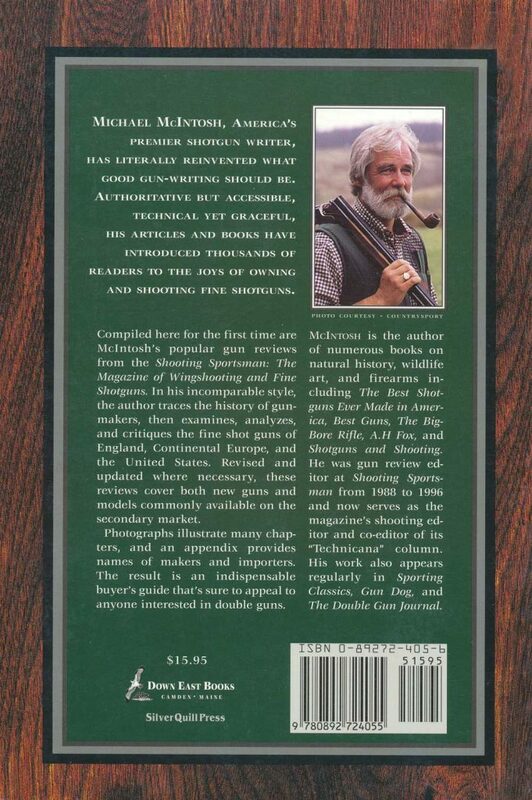 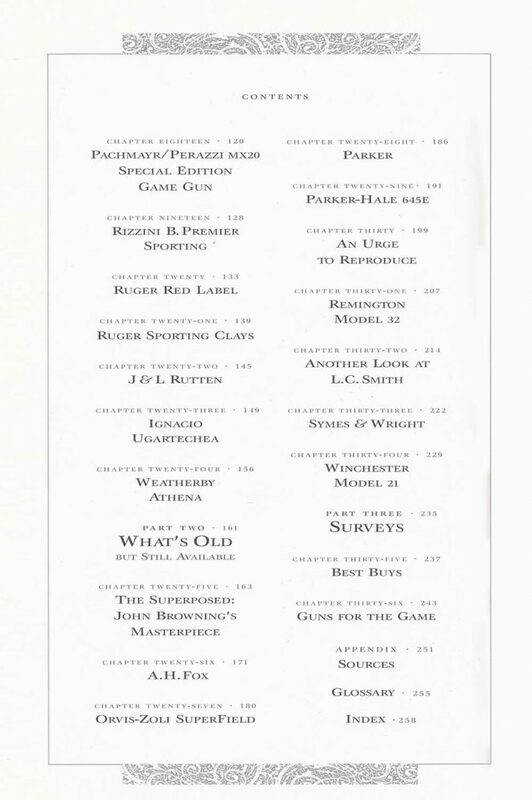 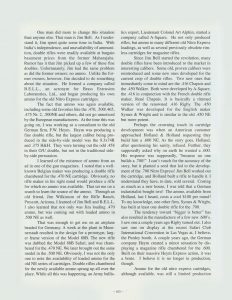 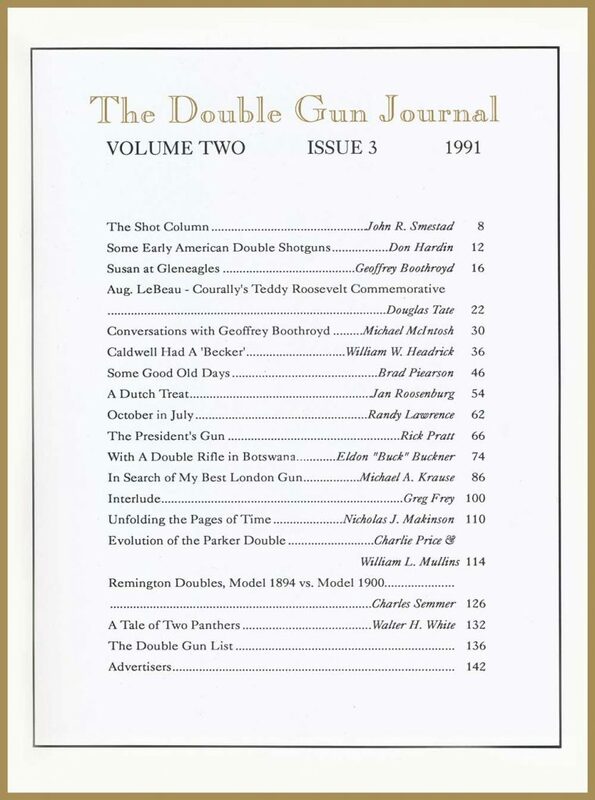 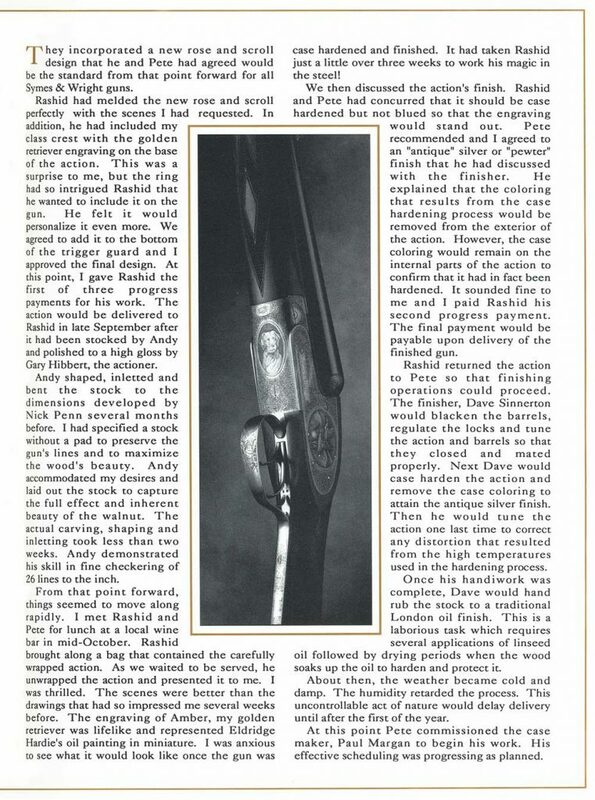 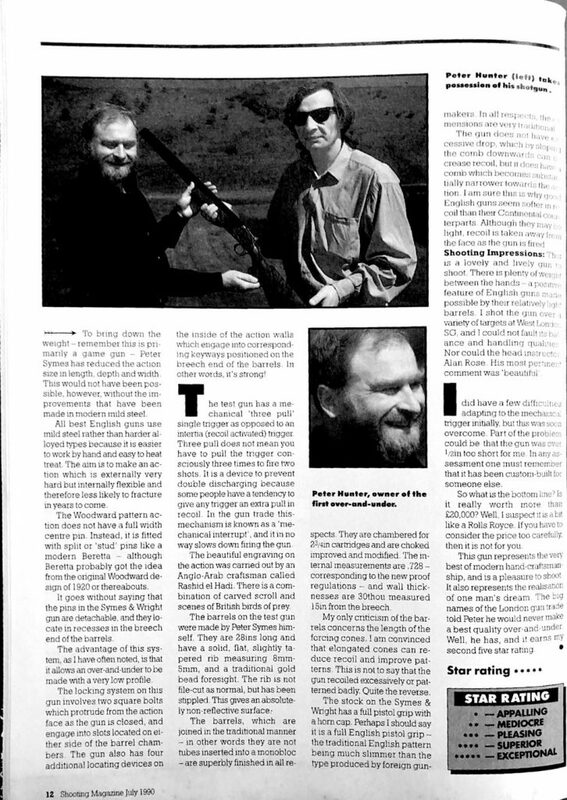 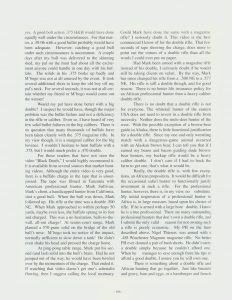 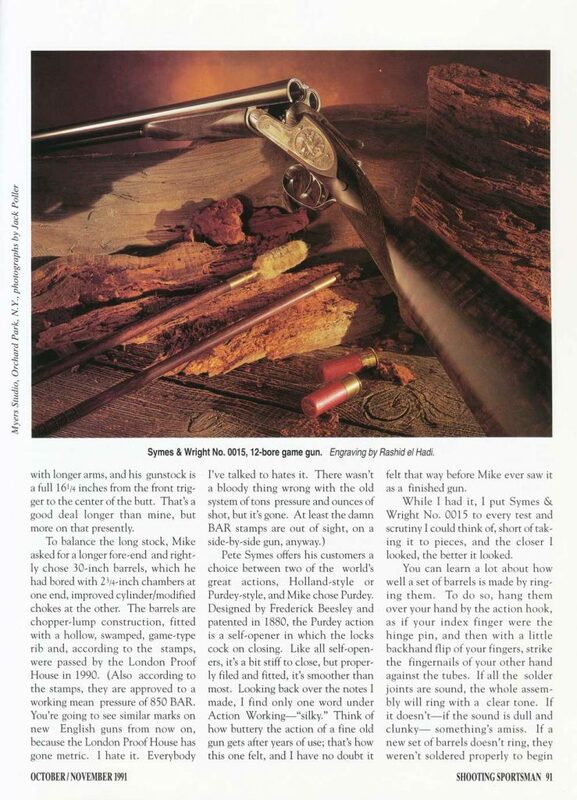 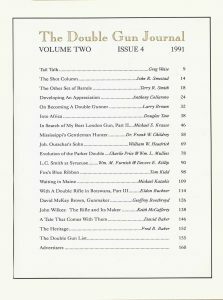 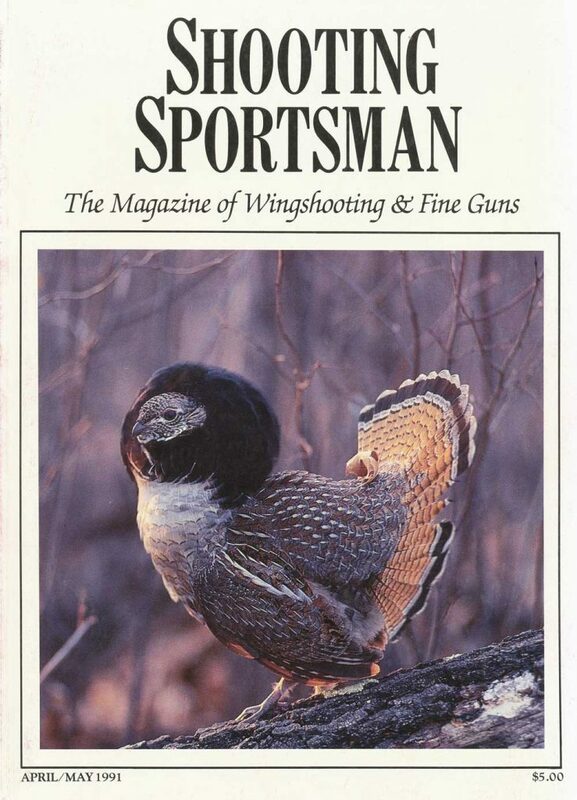 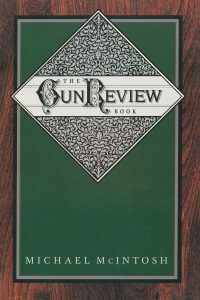 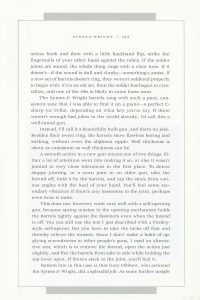 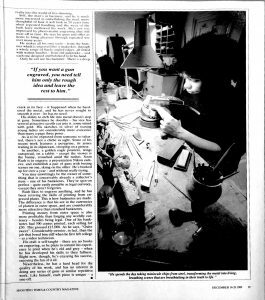 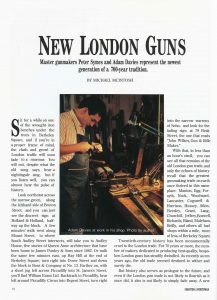 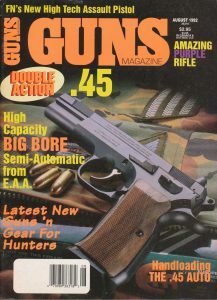 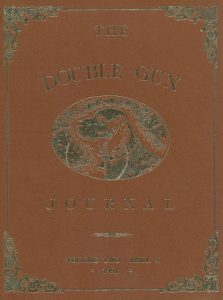 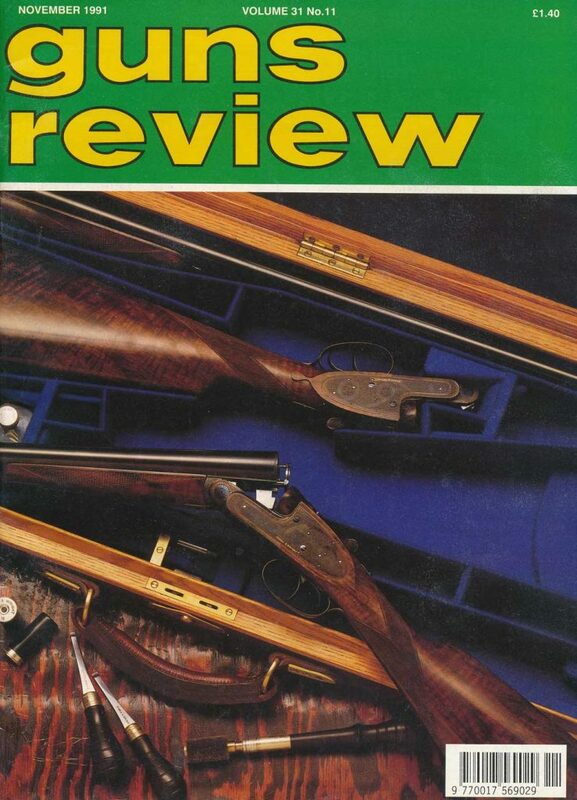 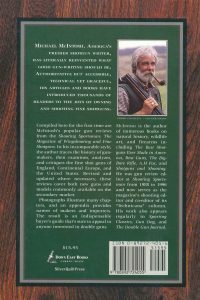 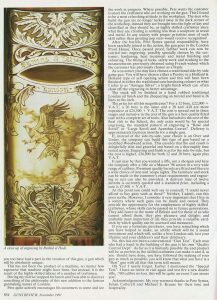 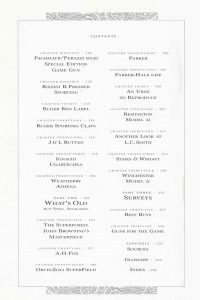 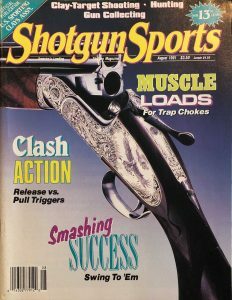 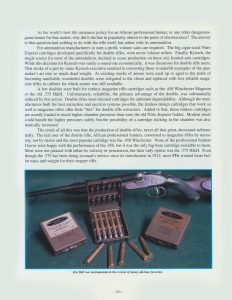 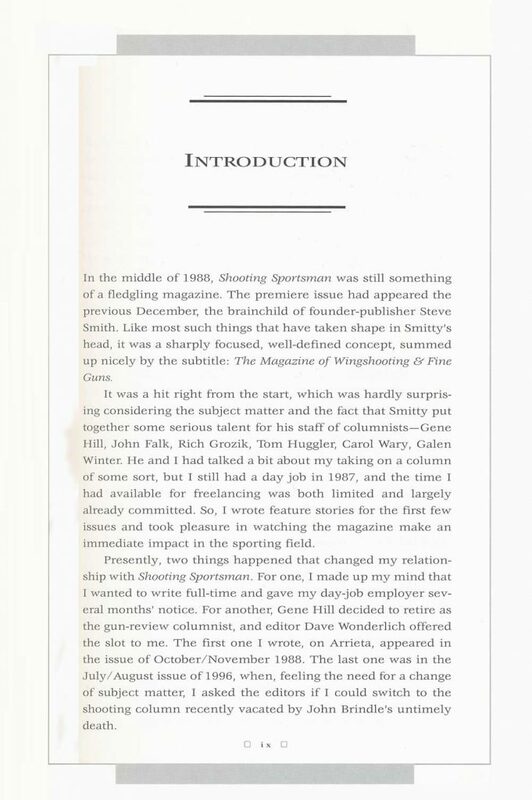 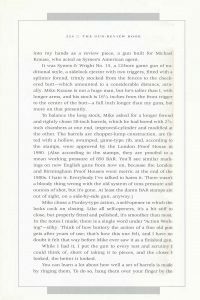 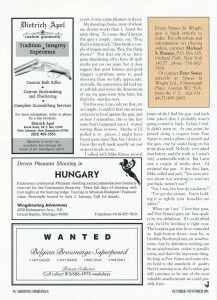 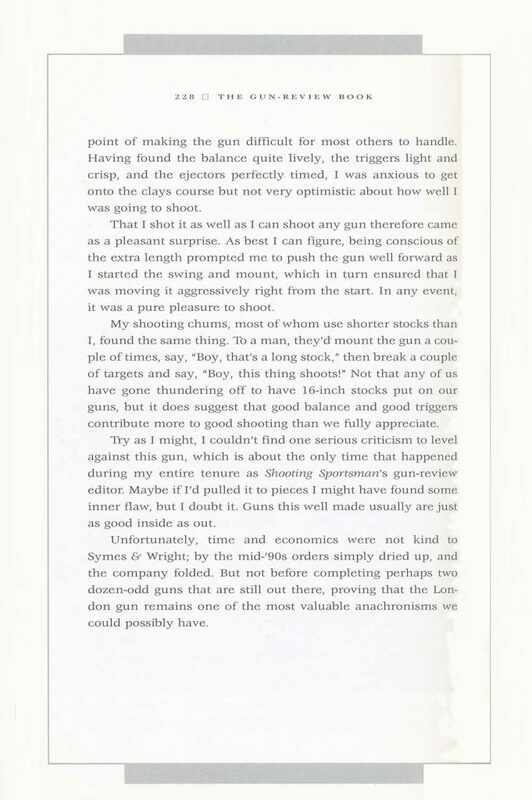 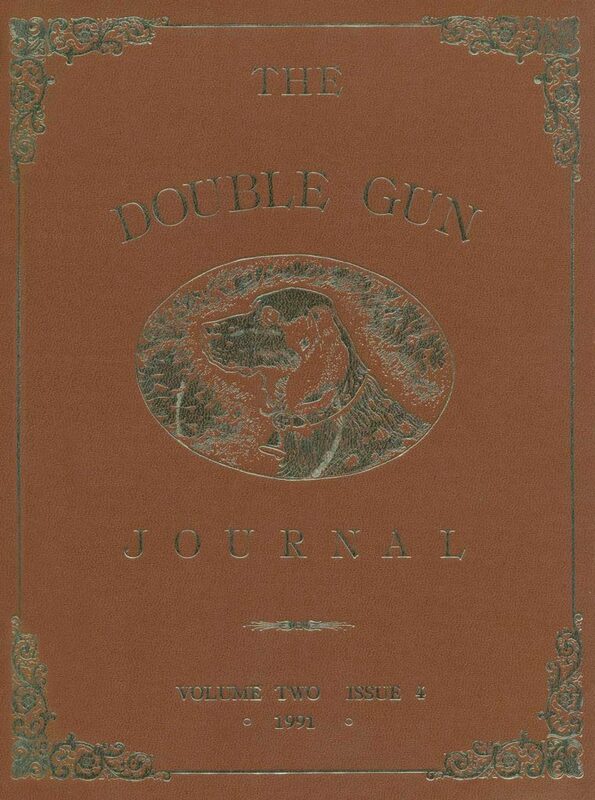 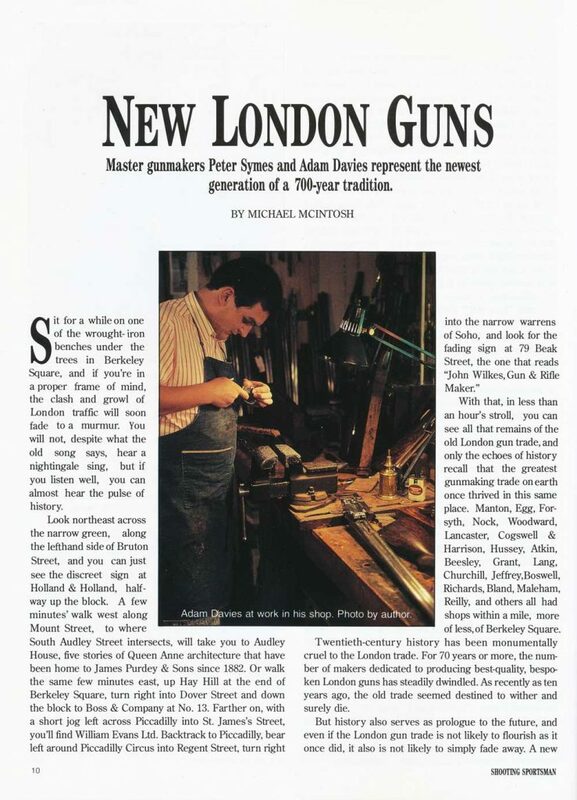 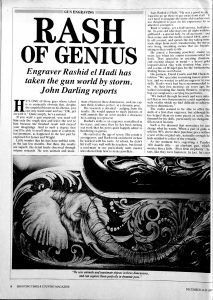 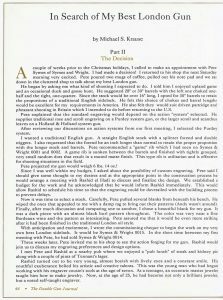 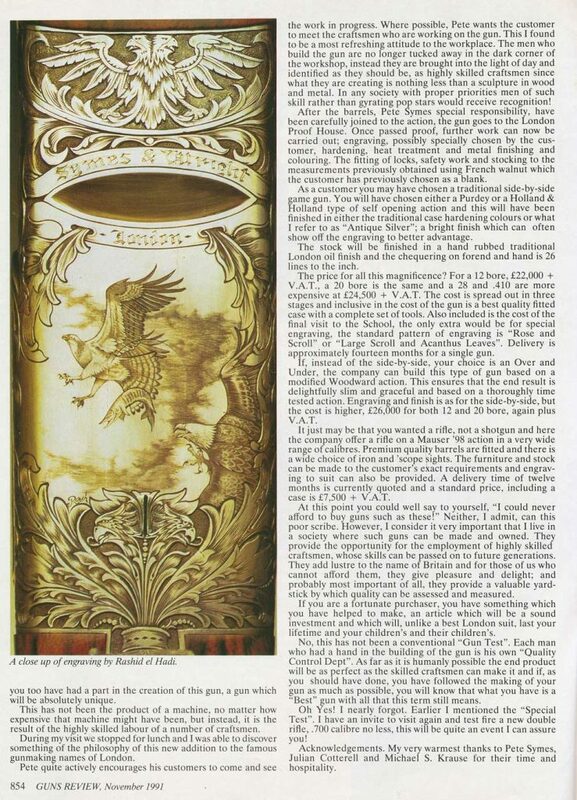 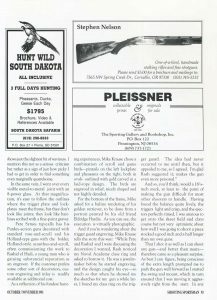 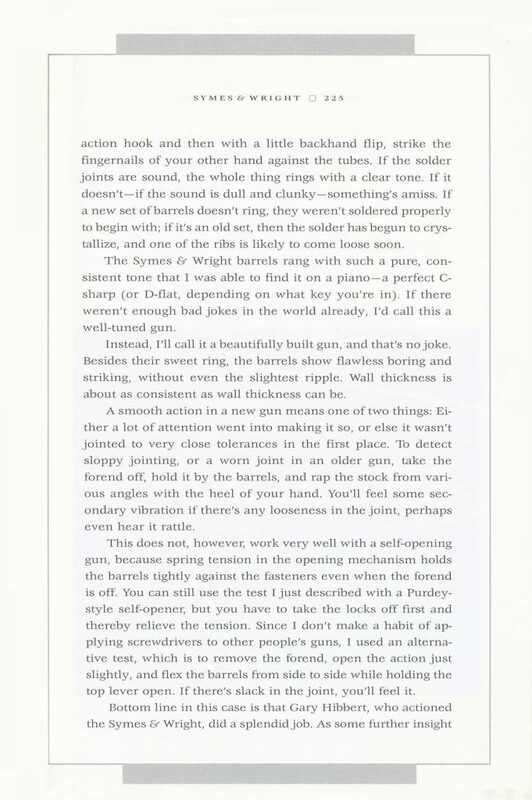 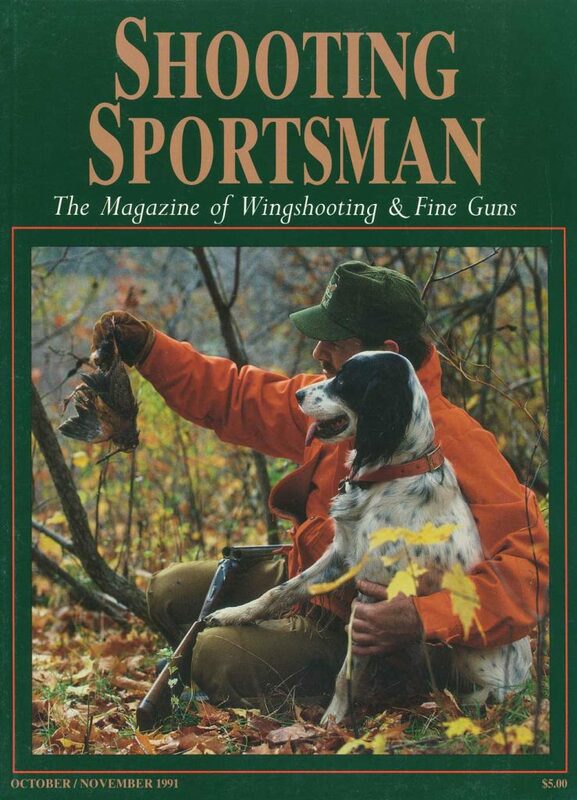 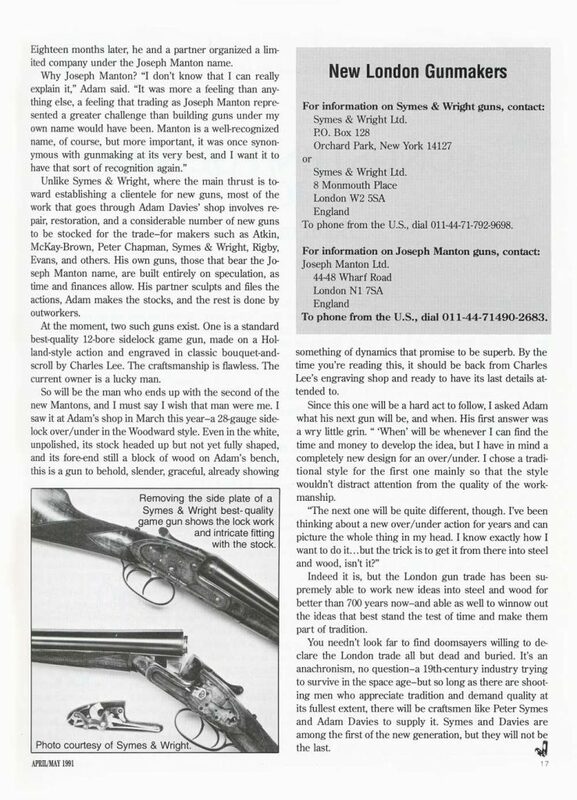 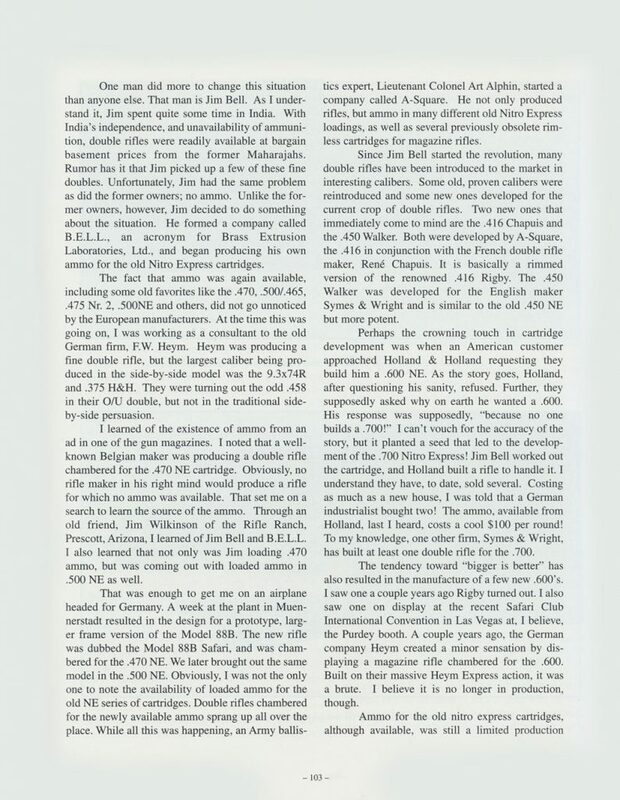 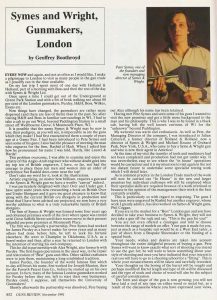 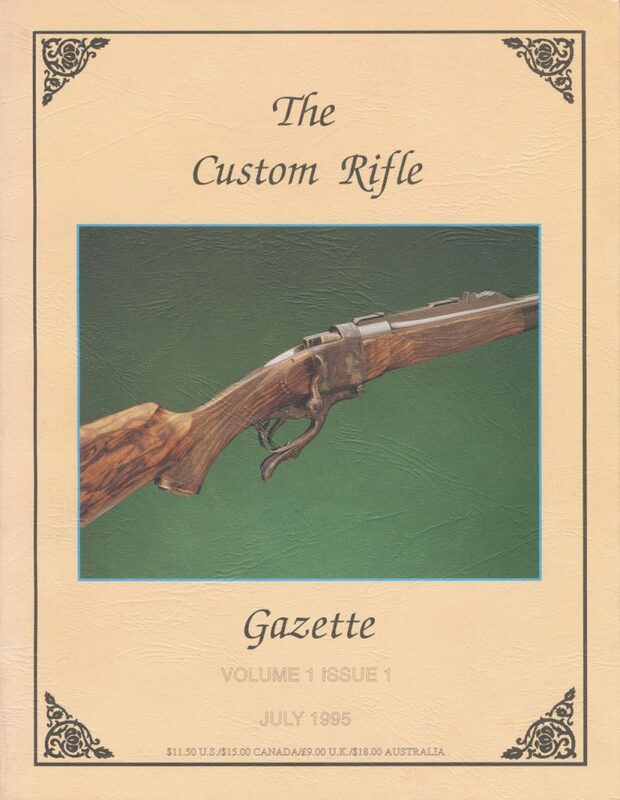 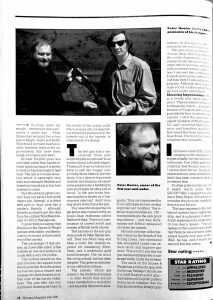 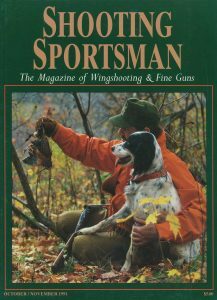 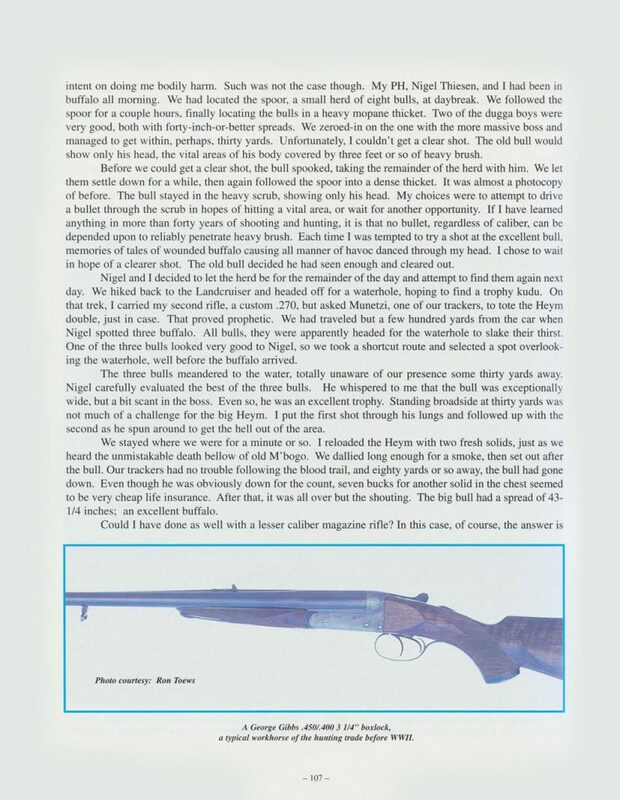 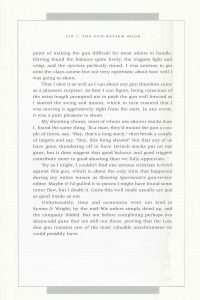 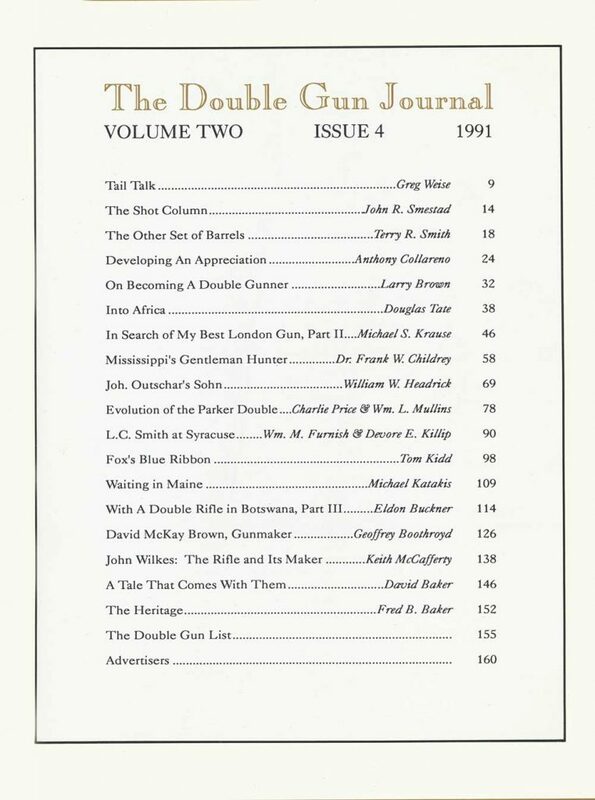 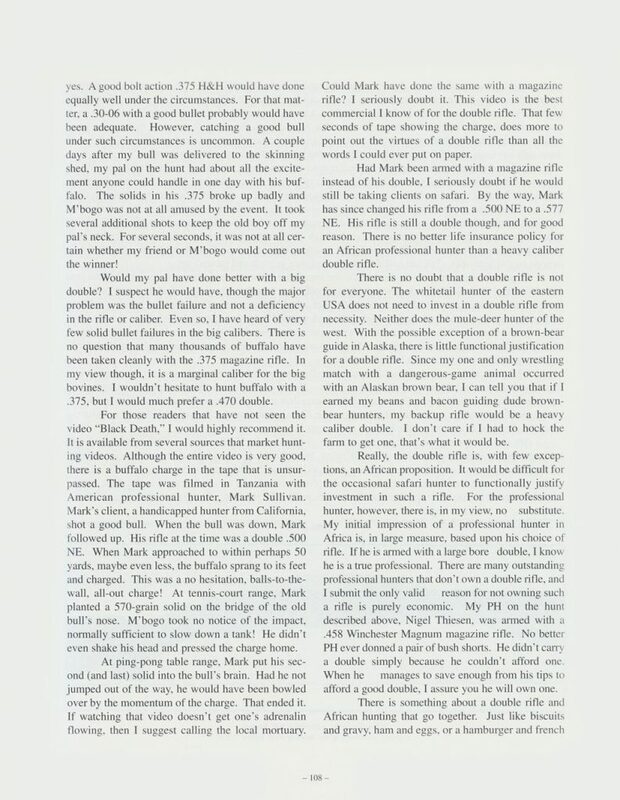 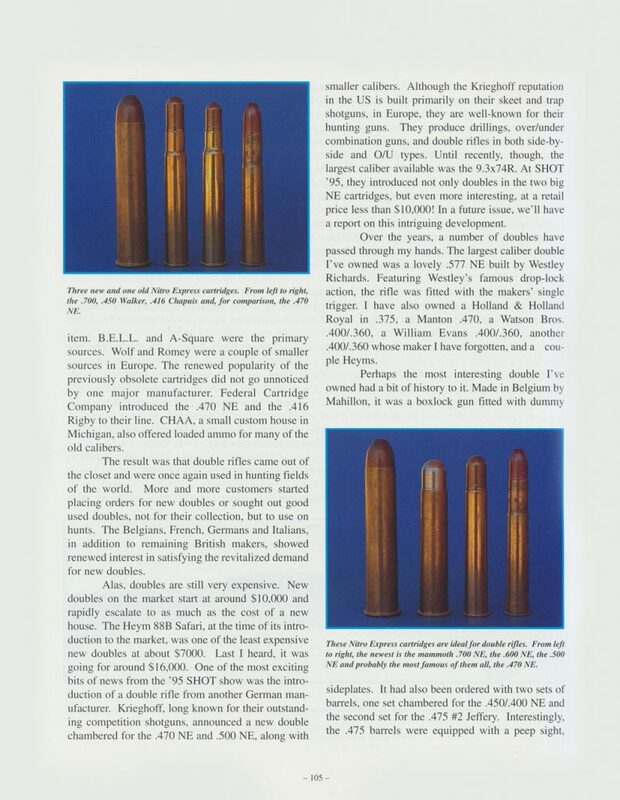 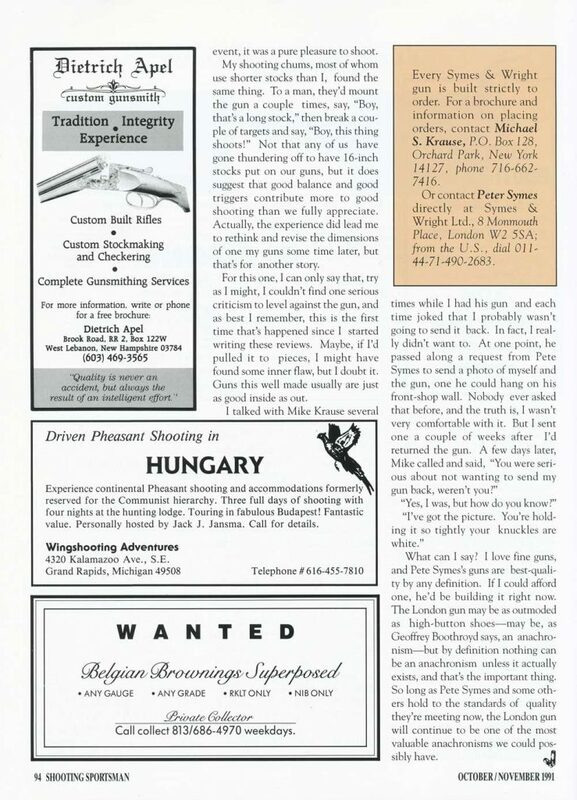 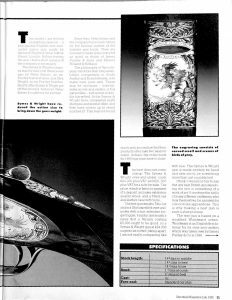 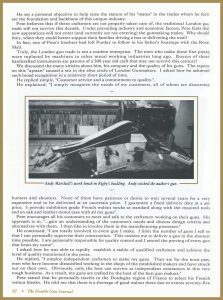 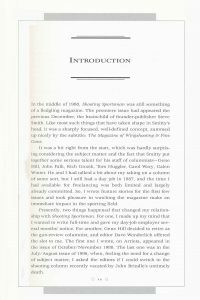 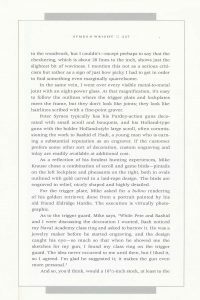 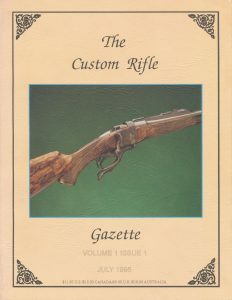 In the early 1990’s the company made quite an impression on the fine gun community, with several well-known authors and publications featuring them prominently and positively. 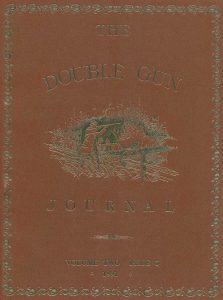 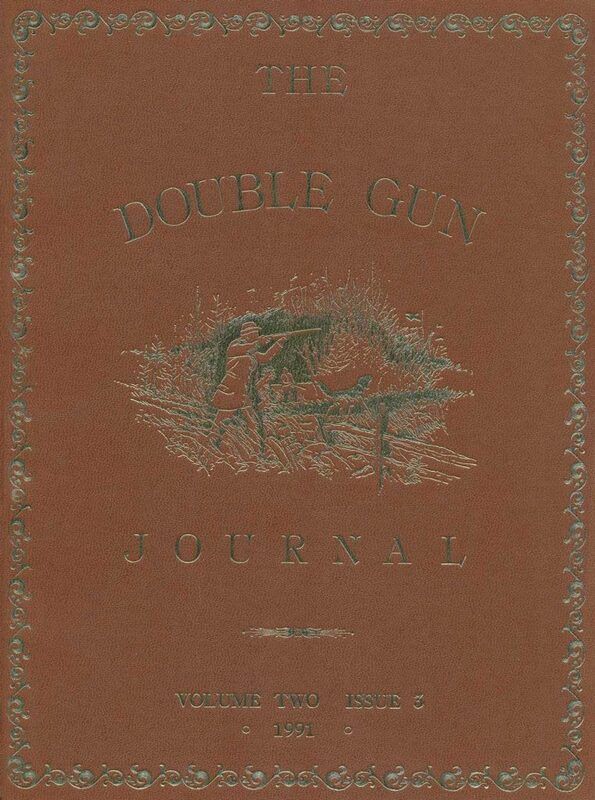 The company was also actively promoting itself with bold advertisements in the shooting journals of the day. 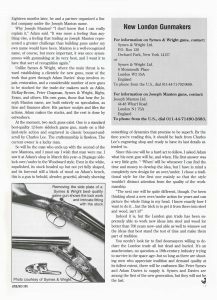 If you’re aware of something that we’ve missed, or if you have any original S&W literature, correspondence, etc. 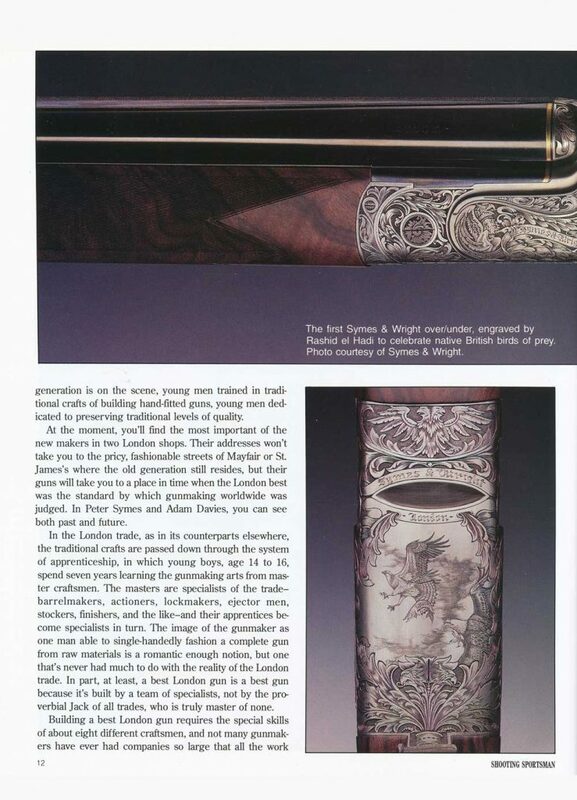 we would be interested in either acquiring it directly from you, or having it reproduced and placed on the website. 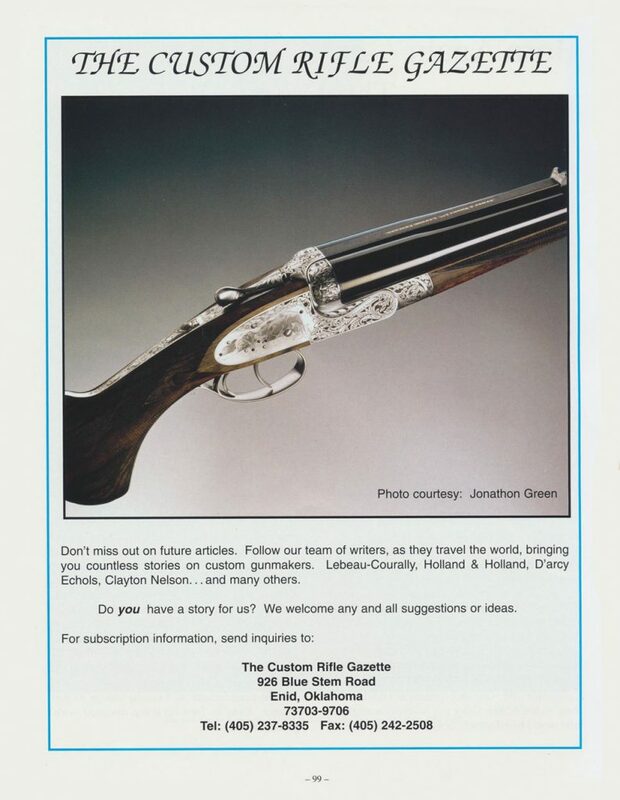 The gun was completed in 1994 and appears virtually unused. 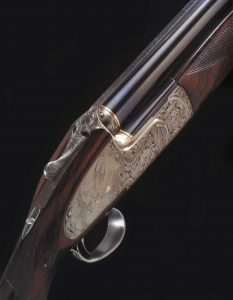 It was engraved by Martin Smith. 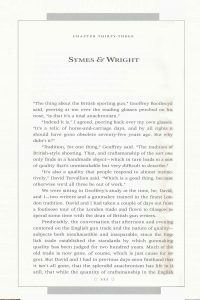 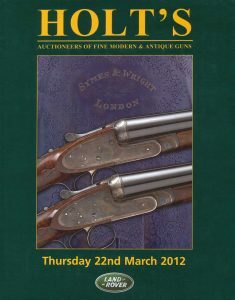 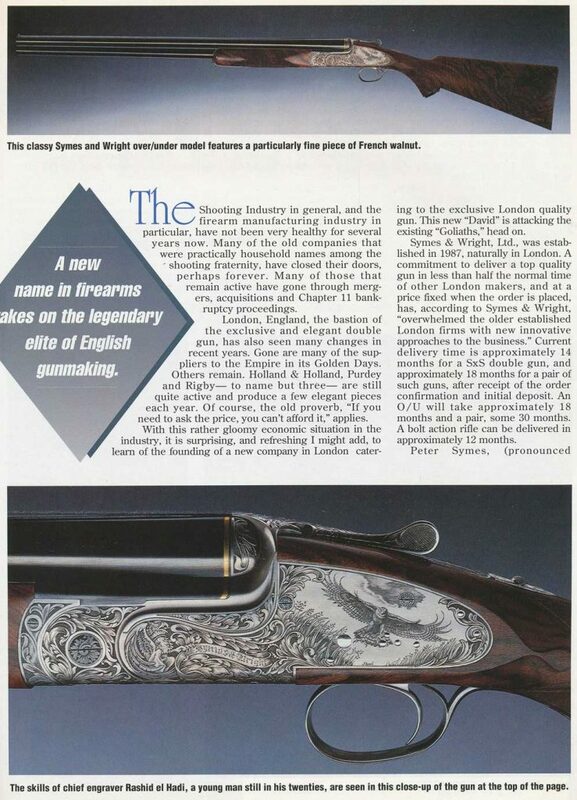 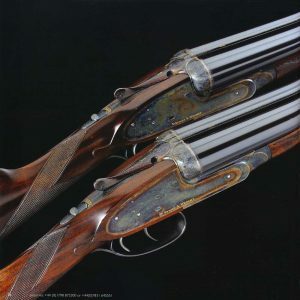 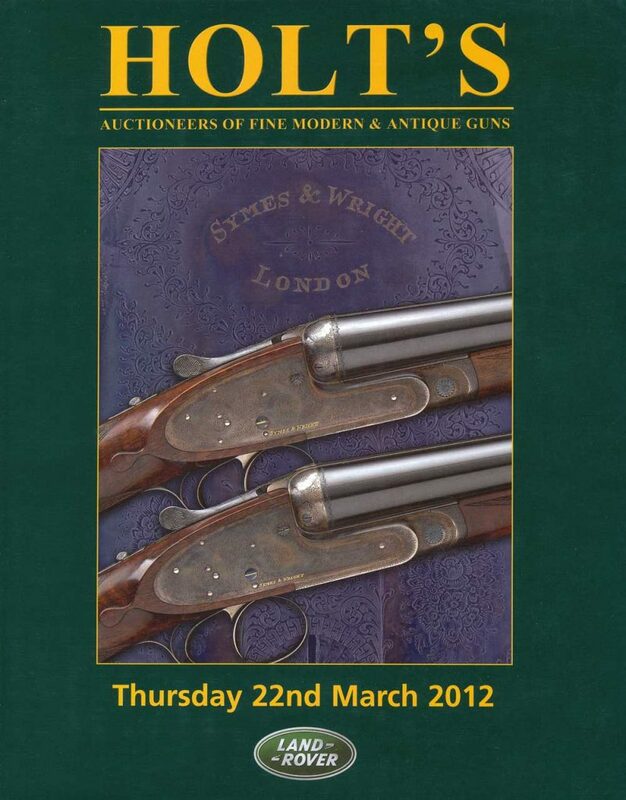 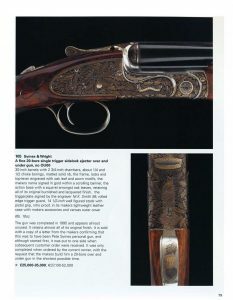 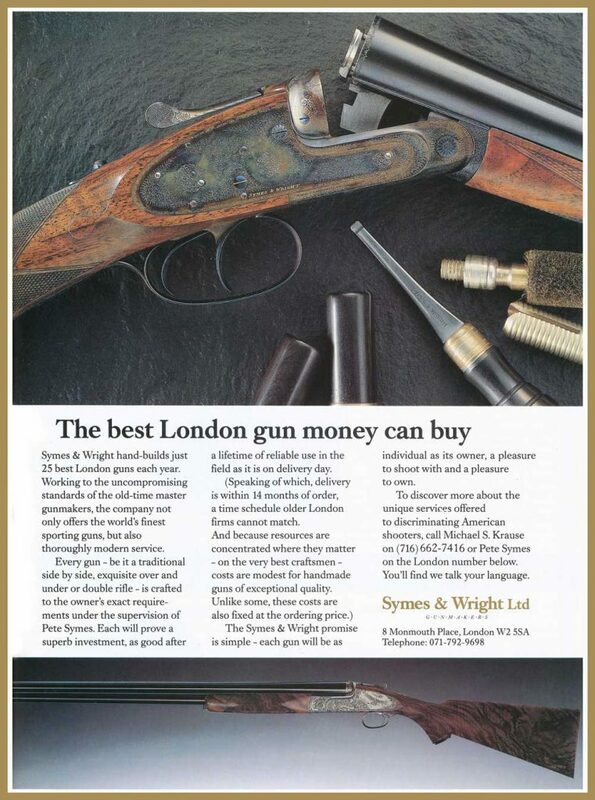 Symes & Wright was formed as a gunmaker in London in 1987. 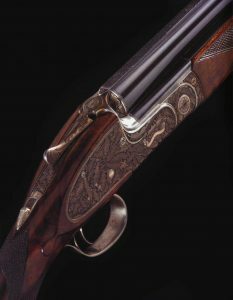 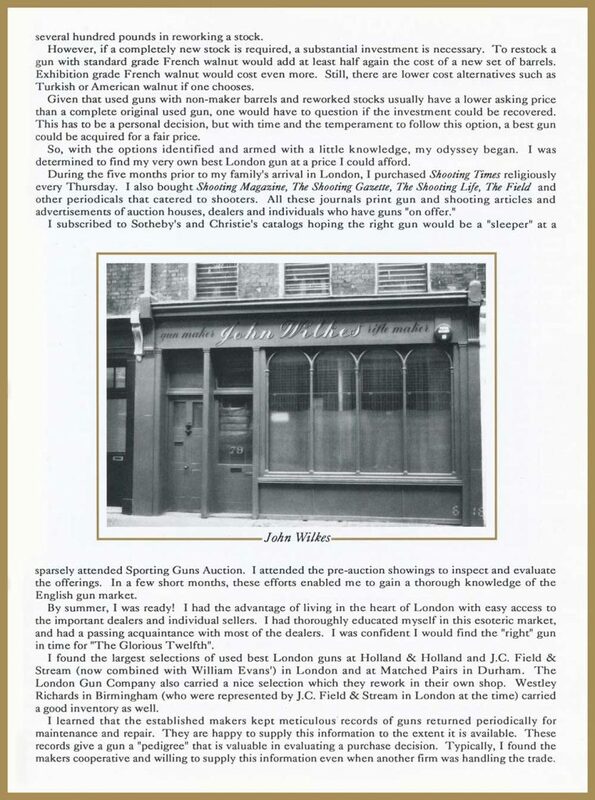 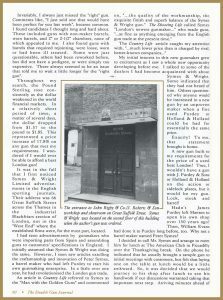 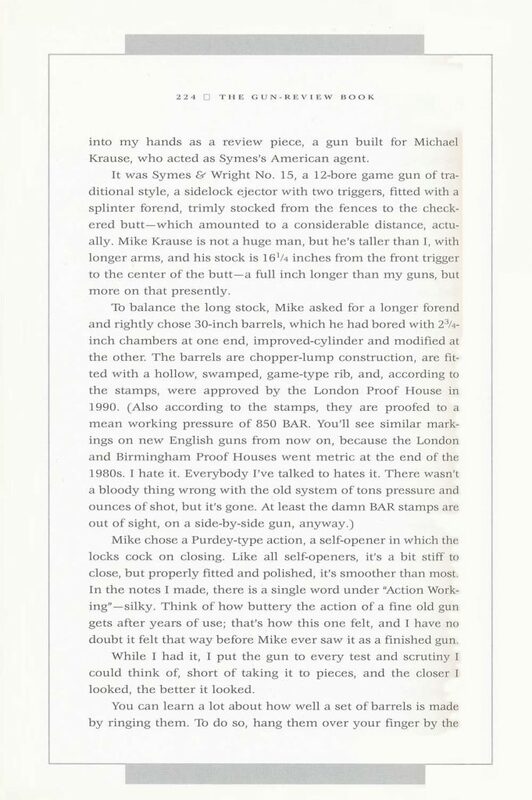 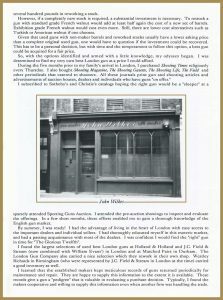 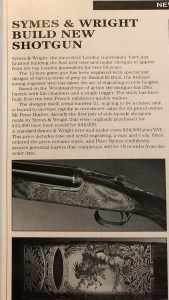 Both Peter Symes and Alex Wright had worked for James Purdey & Sons and as young gunmakers had decided to set up business on their own. 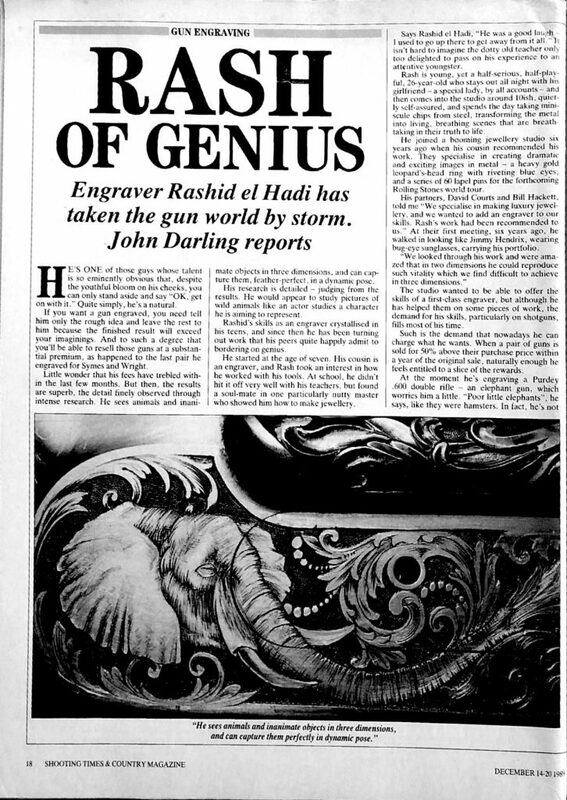 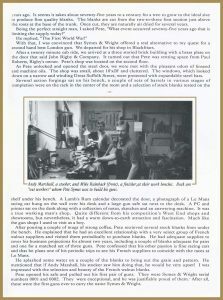 With their fiair for design and marketing, the company was quickly established as a competitor to the existing London makers. 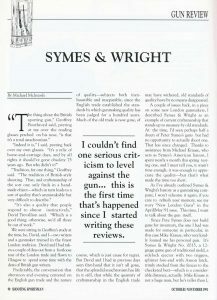 At a time when the London trade was perceived as old and stuffy, Symes & Wright were like a breath of fresh air. 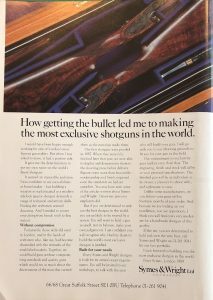 To quote from one of the company’s advertisements, “We are not trading on a reputation established over a century ago, nor do we waste energy marketing luxury goods associated with our name. 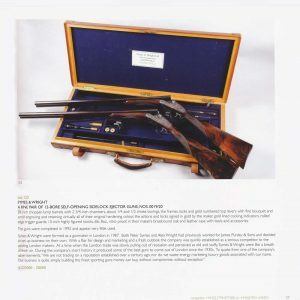 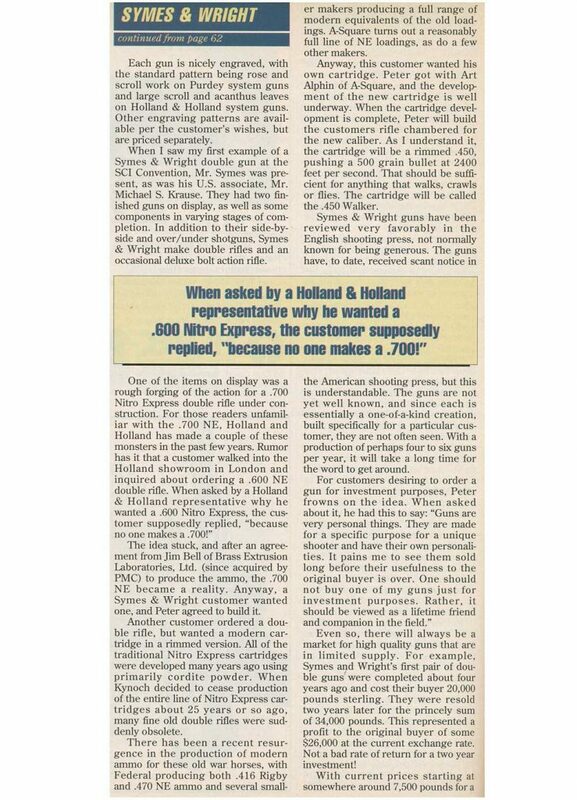 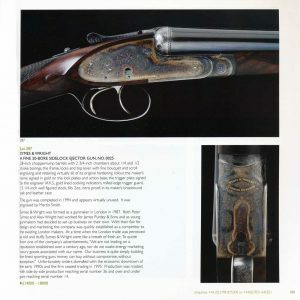 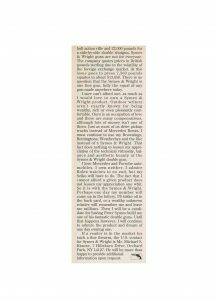 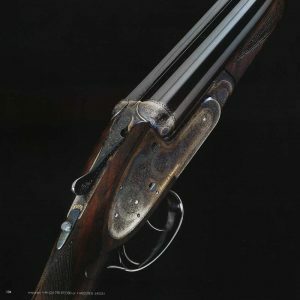 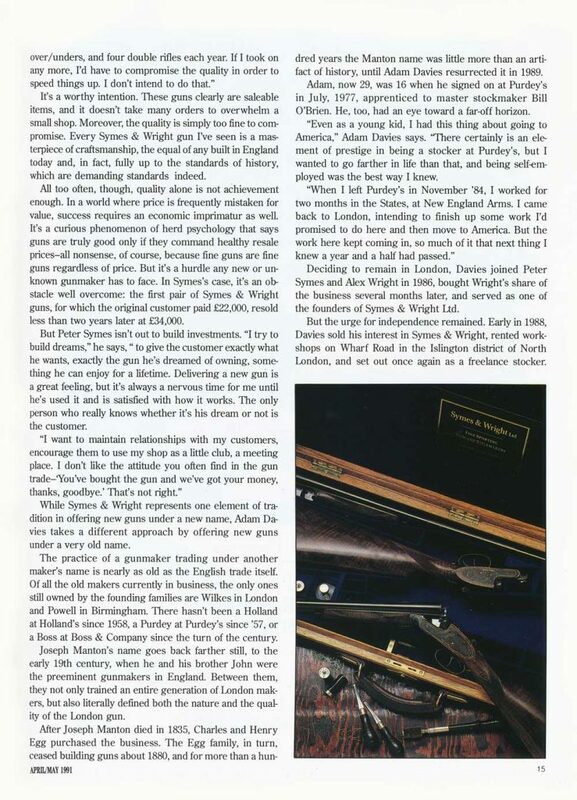 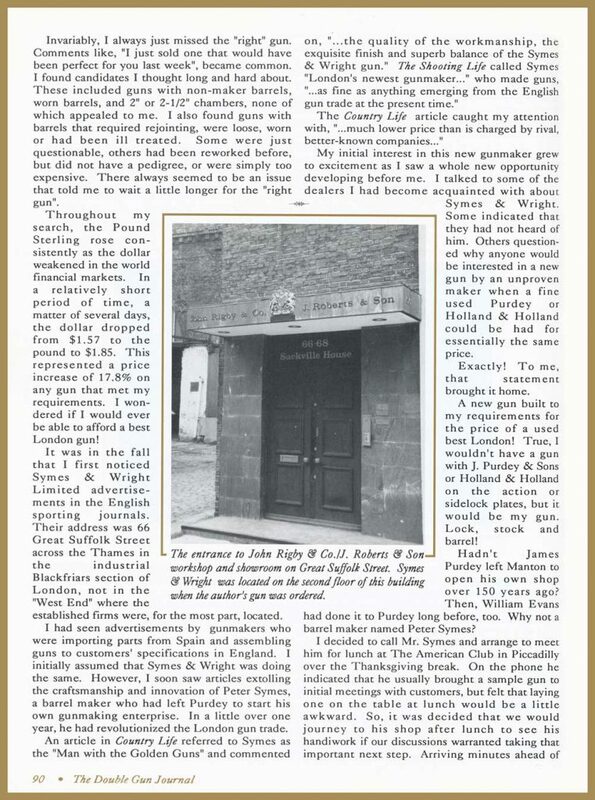 Our business is quite simply building the finest sporting guns money can buy, without compromise, without exception.” Unfortunately orders dwindled with the economic downtown of the early 1990s and the firm ceased trading in 1995. 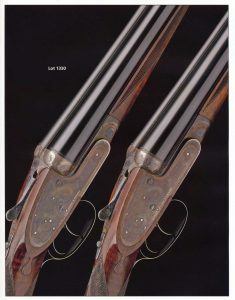 Production was modest with side-by-side production reaching serial number 36 and over and under guns reaching serial number 14. The guns were completed in 1992 and appear very little used. 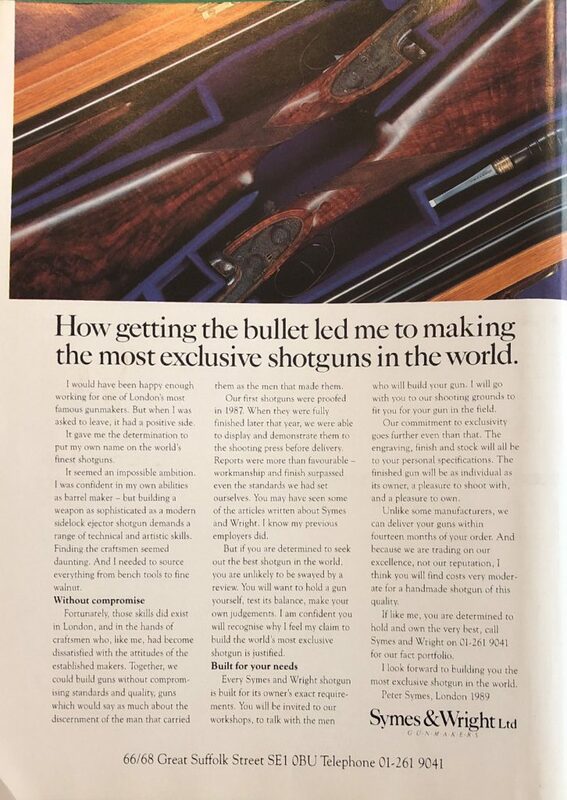 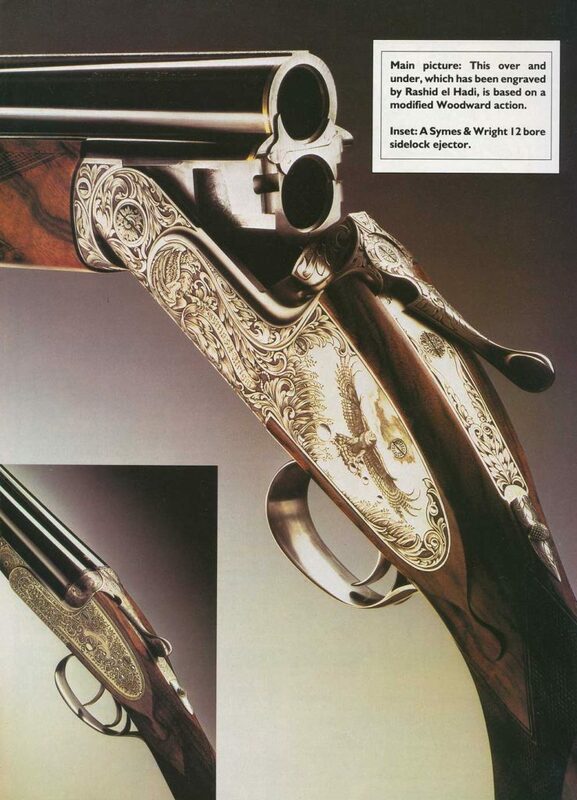 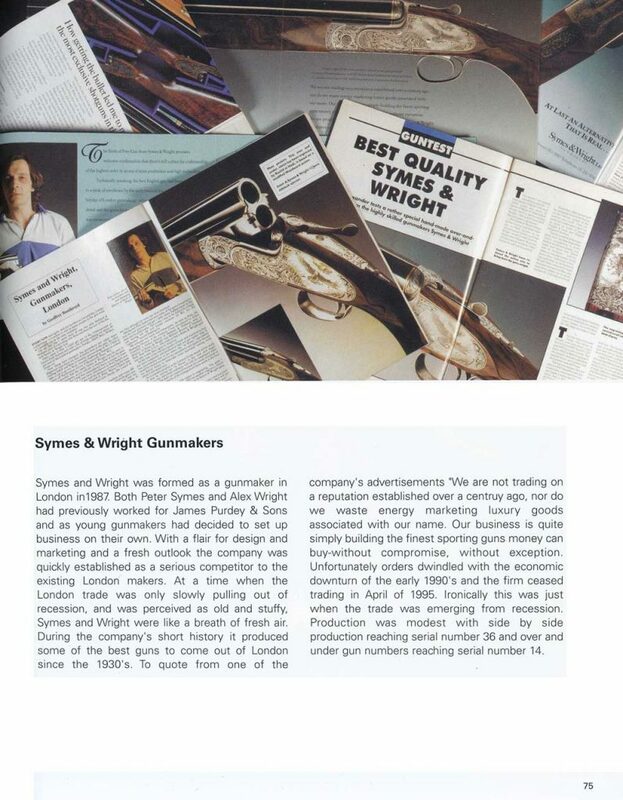 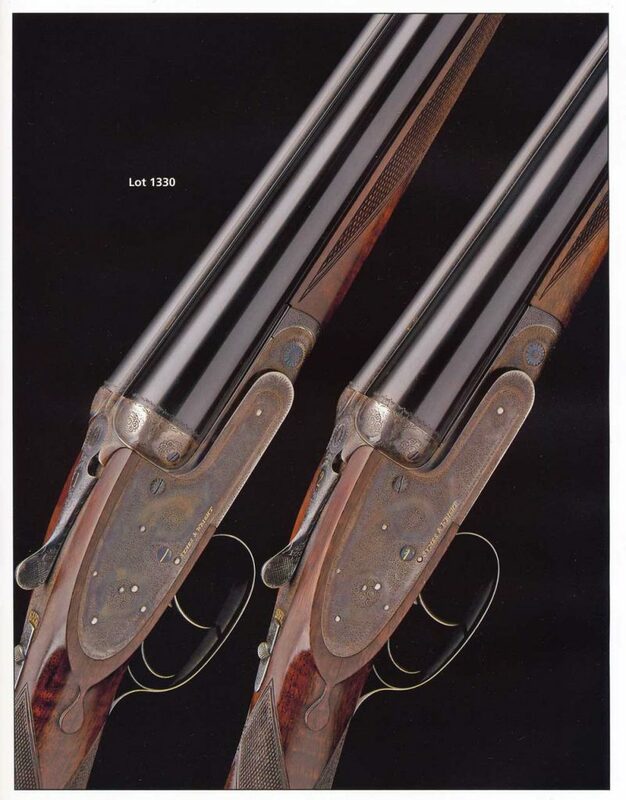 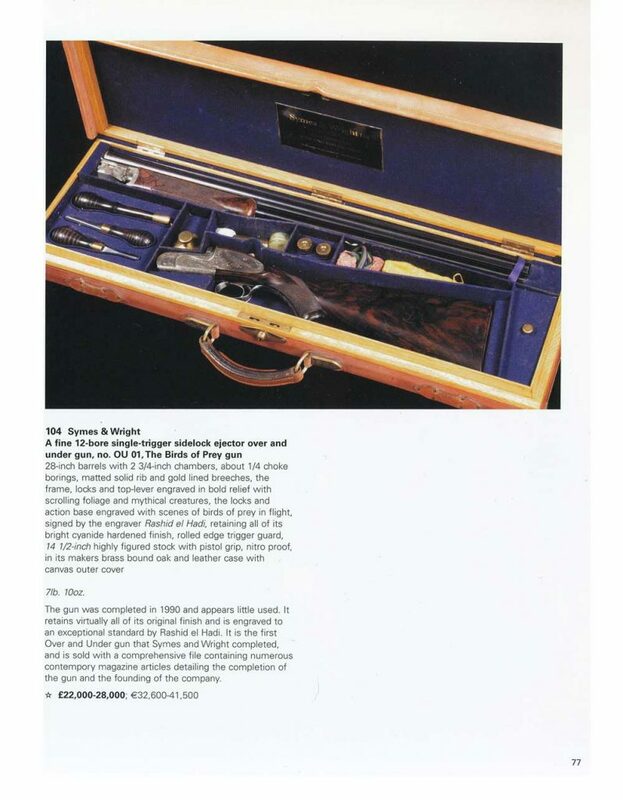 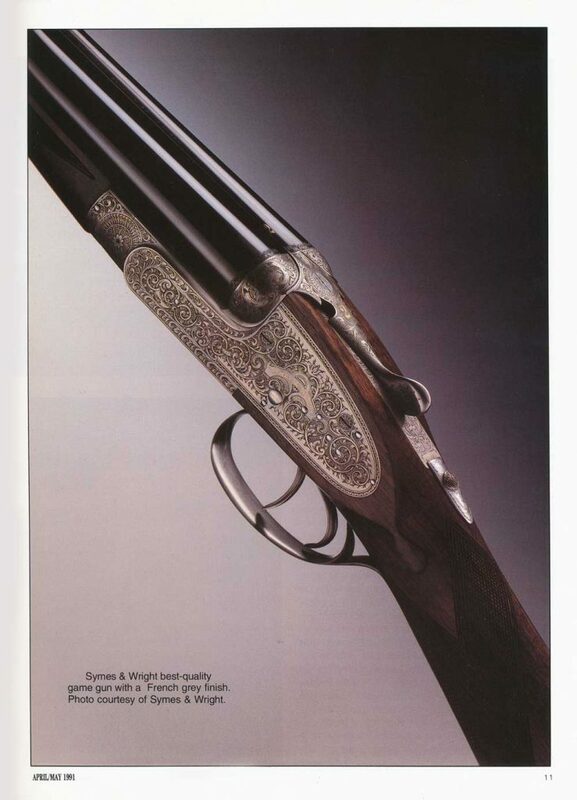 Symes & Wright were formed as a gunmaker in London in 1987. 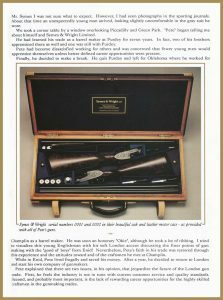 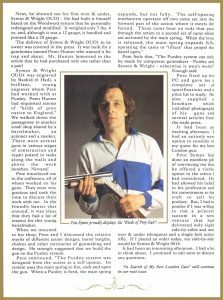 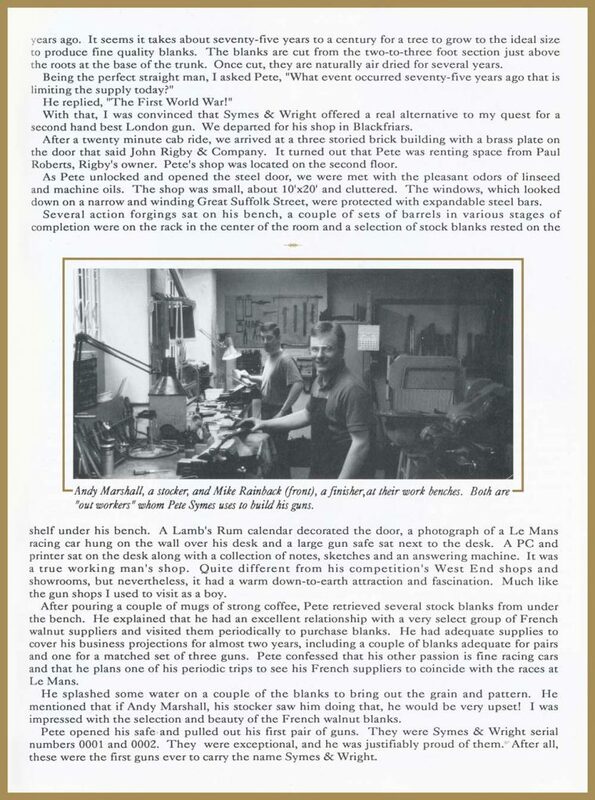 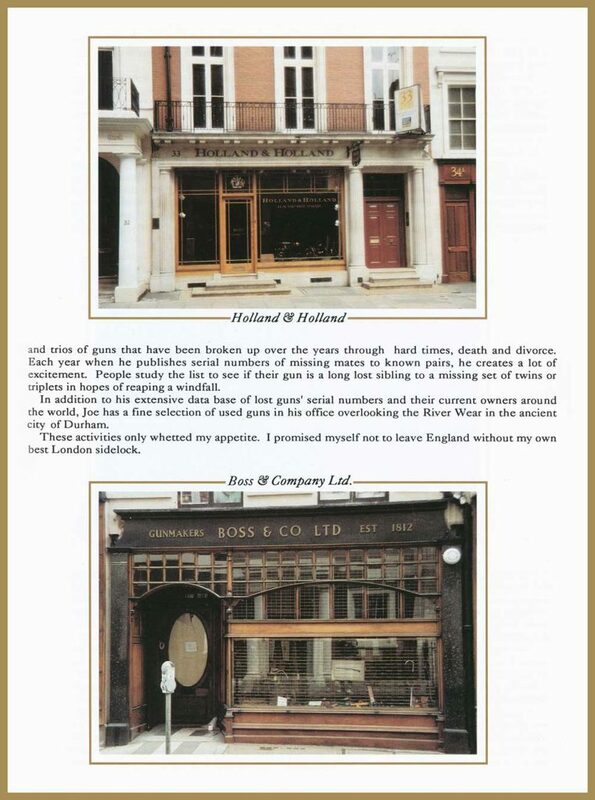 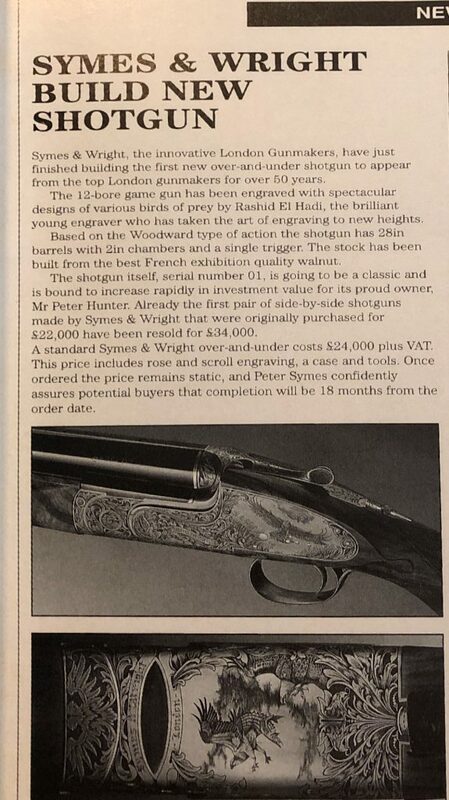 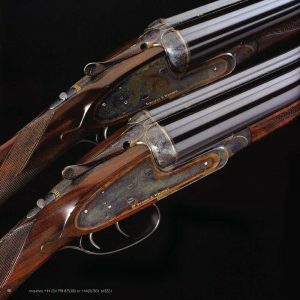 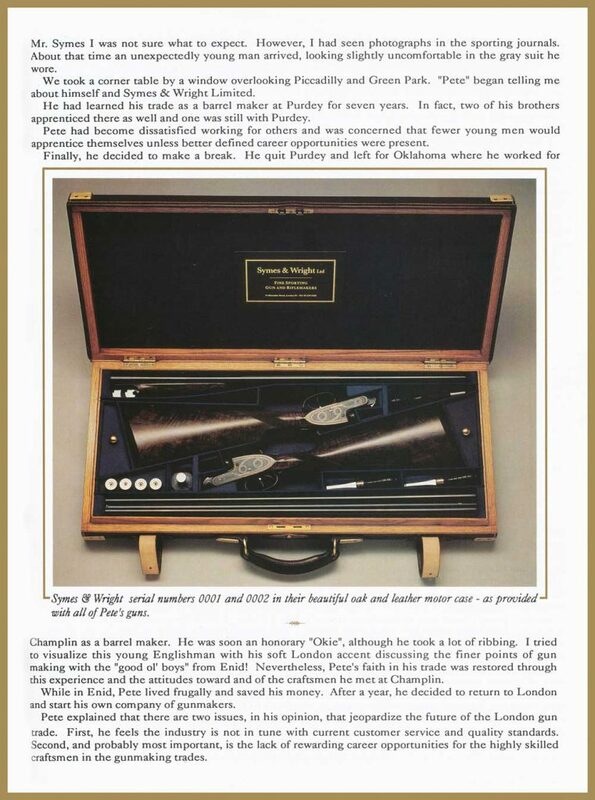 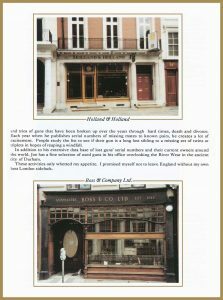 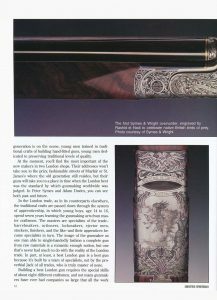 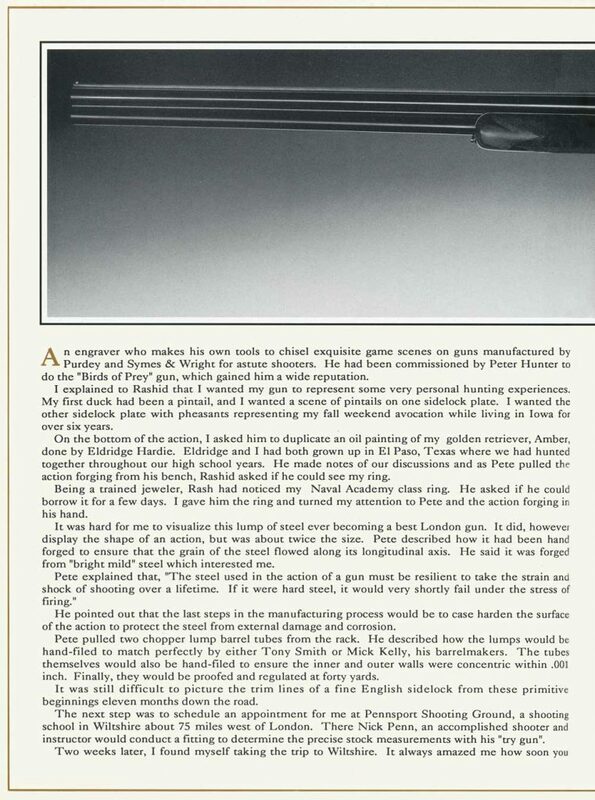 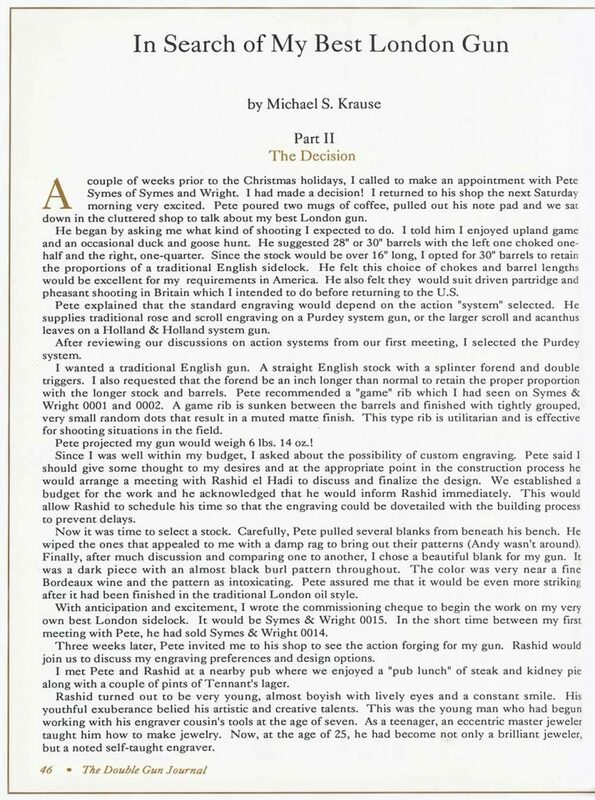 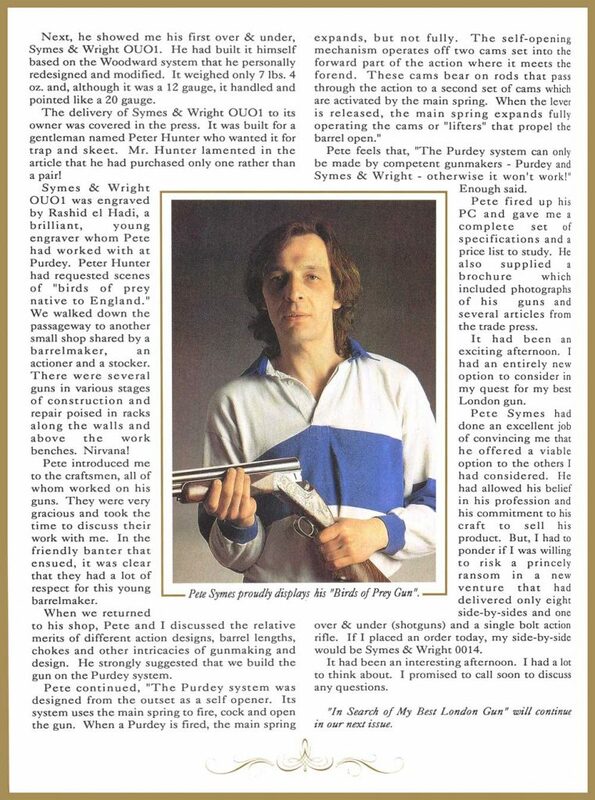 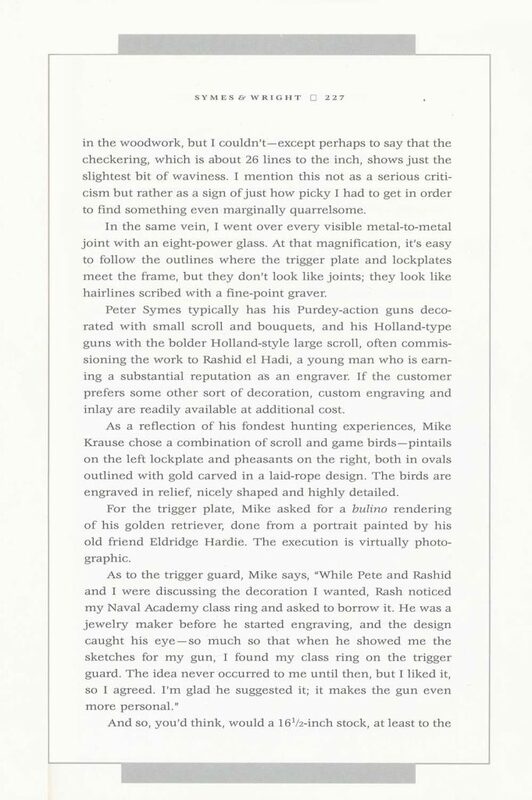 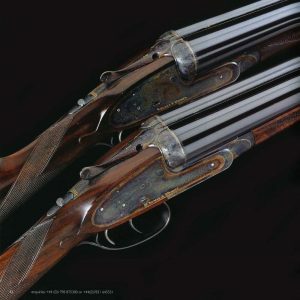 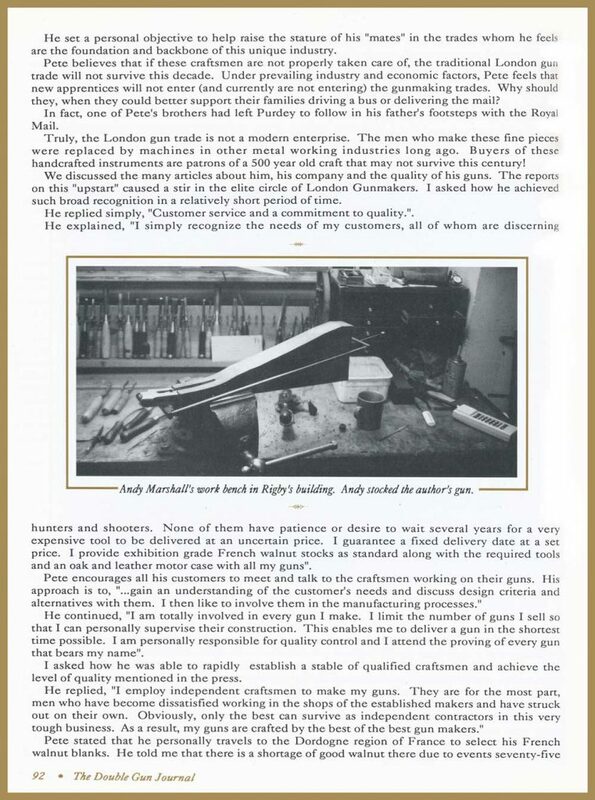 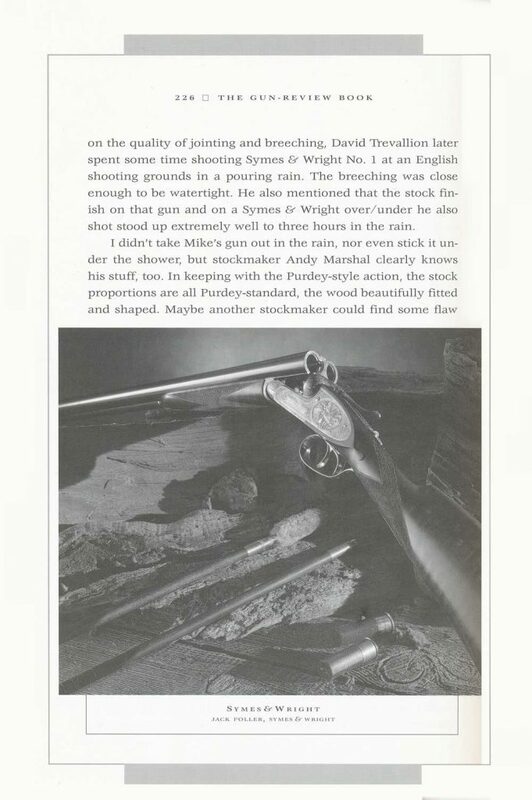 Both Peter Symes and Alex Wright had previously worked for James Purdey & Sons and decided to set up business on their own. 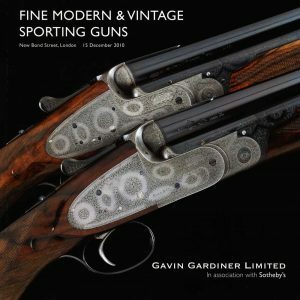 With a flair for design and marketing and a fresh outlook, the company was quickly established as a serious competitor to the existing London makers. 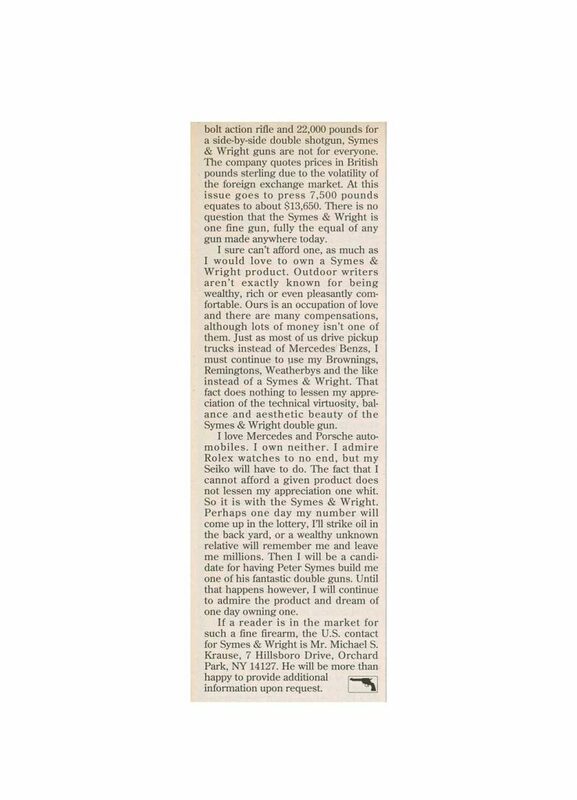 At a time when the London trade was slowly pulling out of recession and perceived as old and stuffy, Symes & Wright were like a breath of fresh air. 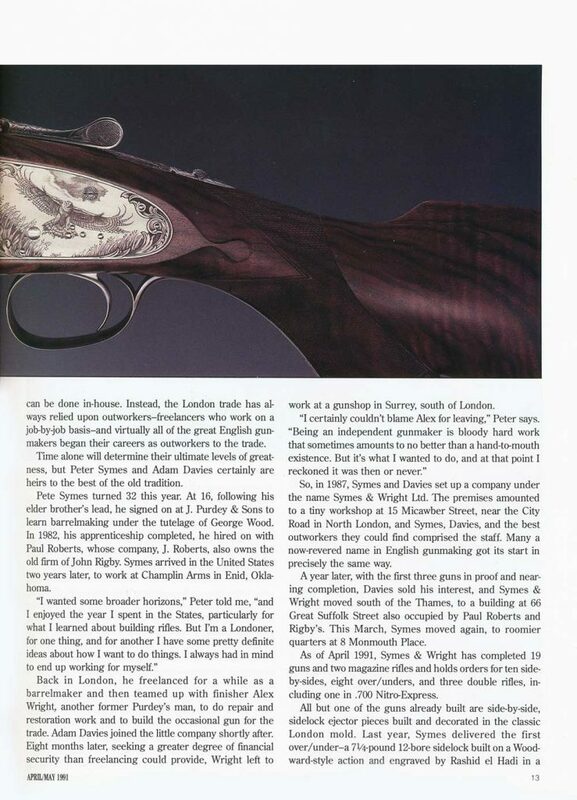 During the company’s short history it produced some of the best guns to come out of London since the 1930s. 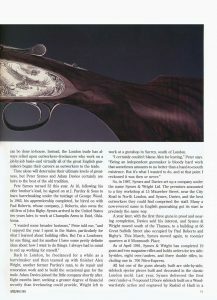 To quote from one of the company’s advertisements, “We are not trading on a reputation established over a century ago, nor do we waste energy marketing luxury goods associated with our name. 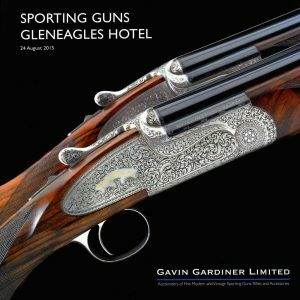 Our business is quite simply building the finest sporting guns money can buy. 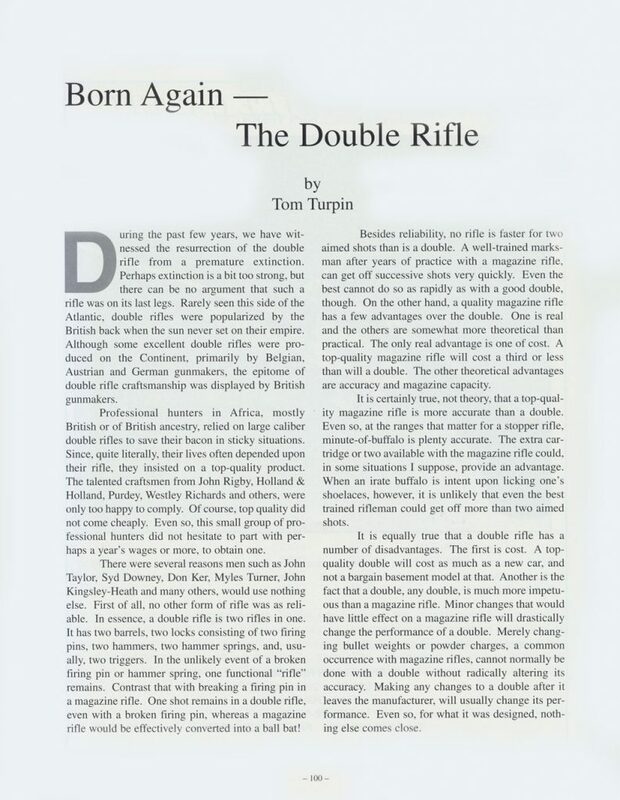 without compromise, without exception”. 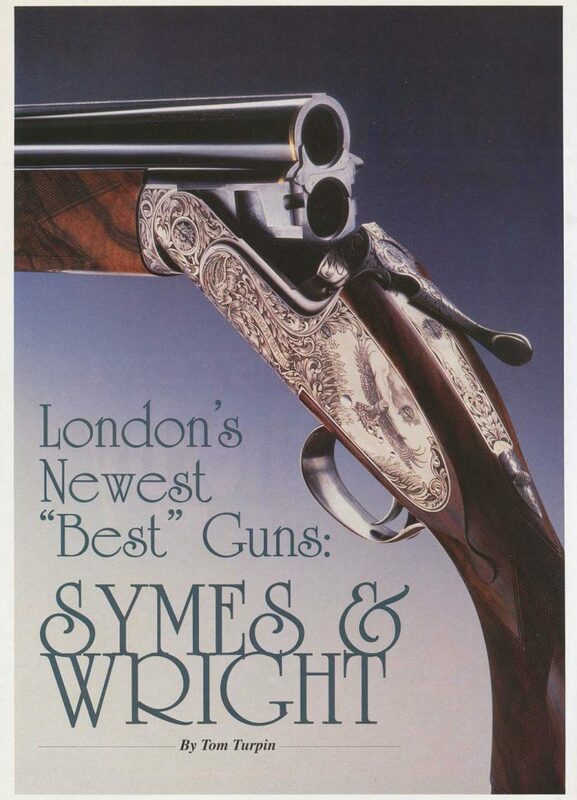 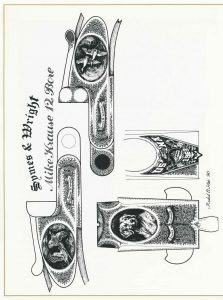 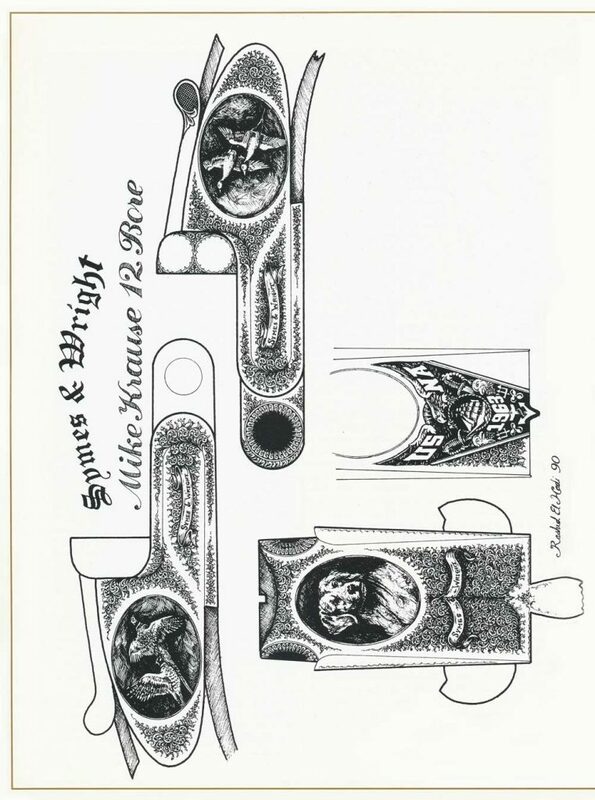 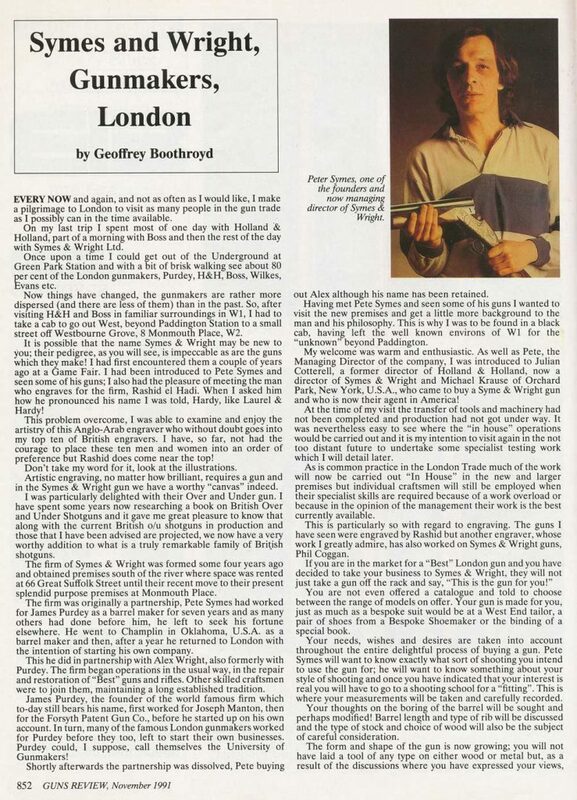 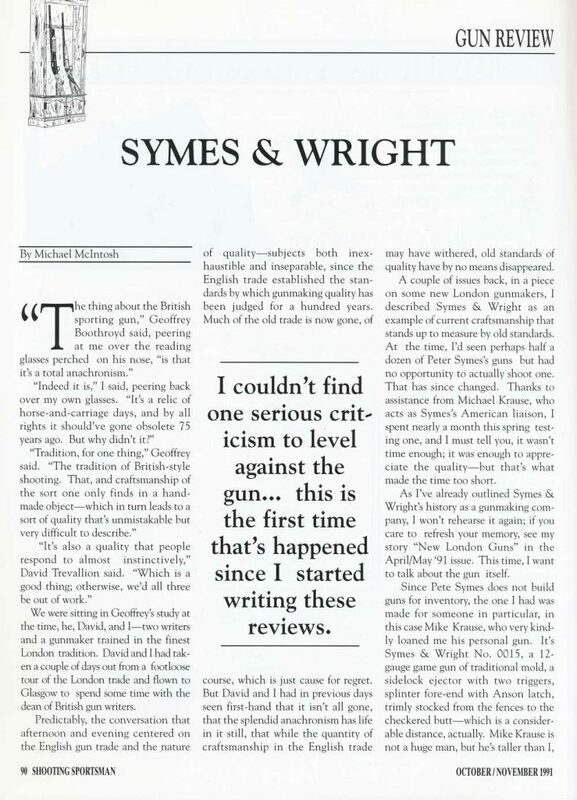 Symes & Wright were formed as a gun maker in London in 1987. 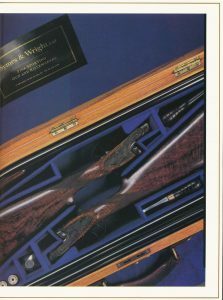 Both Peter Symes and Alex Wright had previously worked for James Purdey & Sons and decided to set up business on their own. 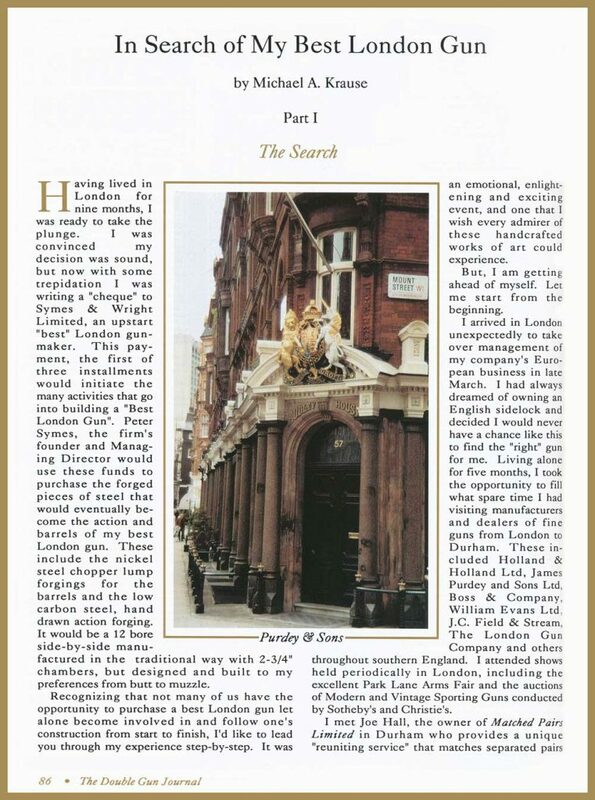 With a flair for design and marketing and a fresh outlook, the company was quickly established as a serious competitor to the existing London makers. 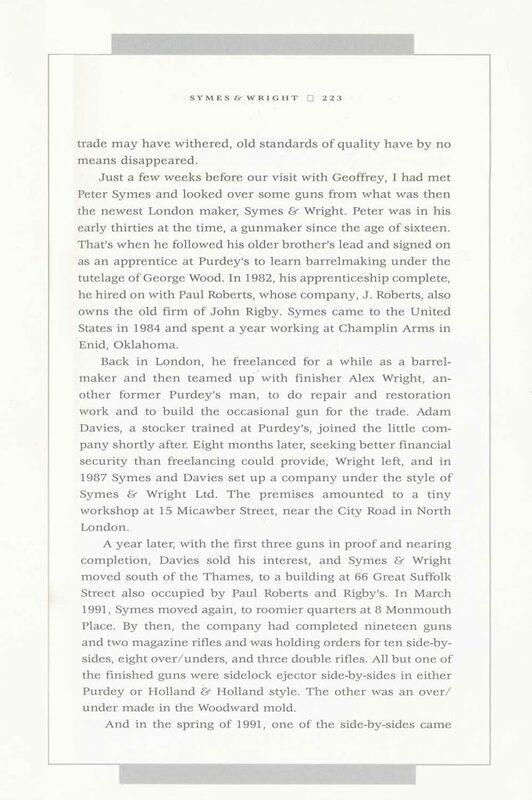 At a time when the London trade was slowly pulling out of recession and perceived as old and stuffy, Symes & Wright were like a breath of fresh air. 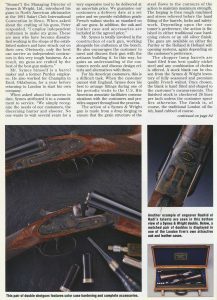 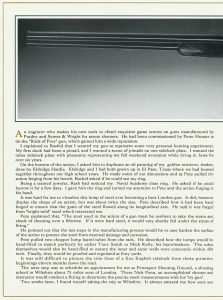 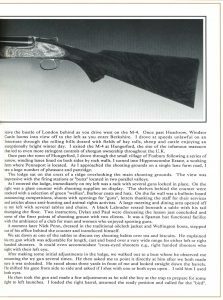 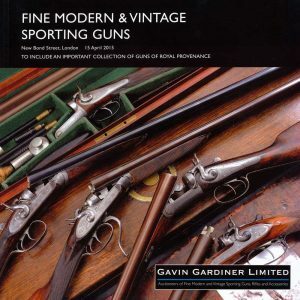 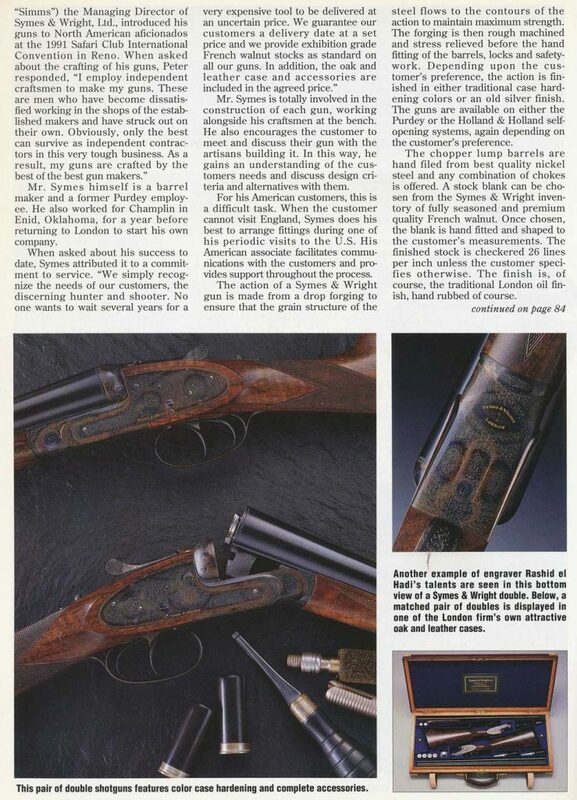 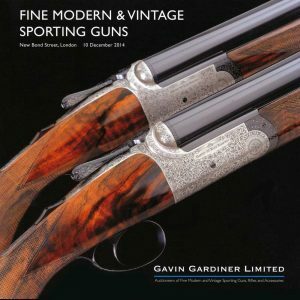 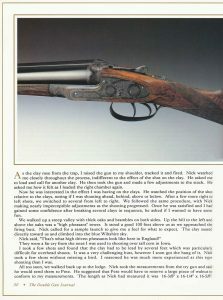 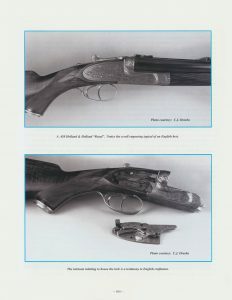 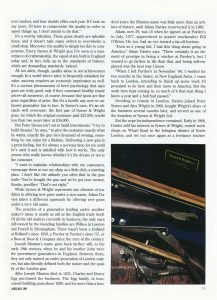 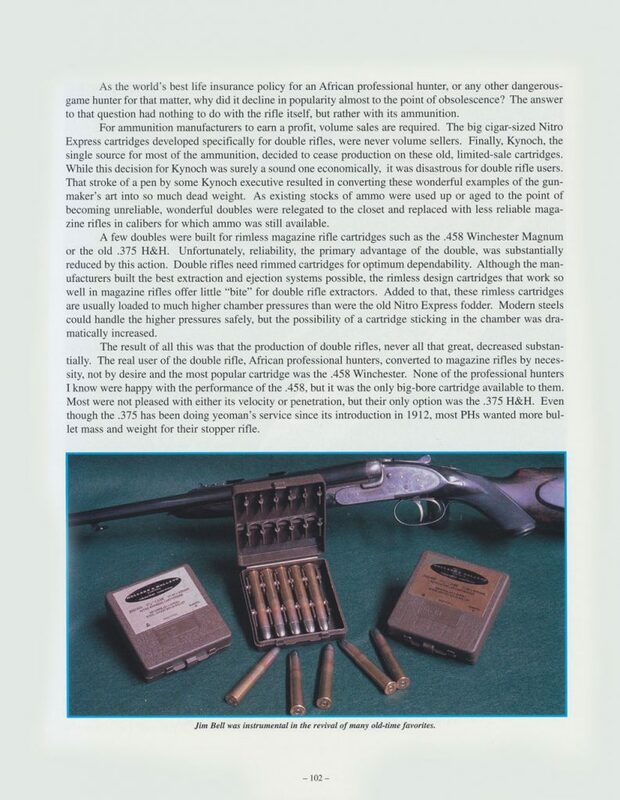 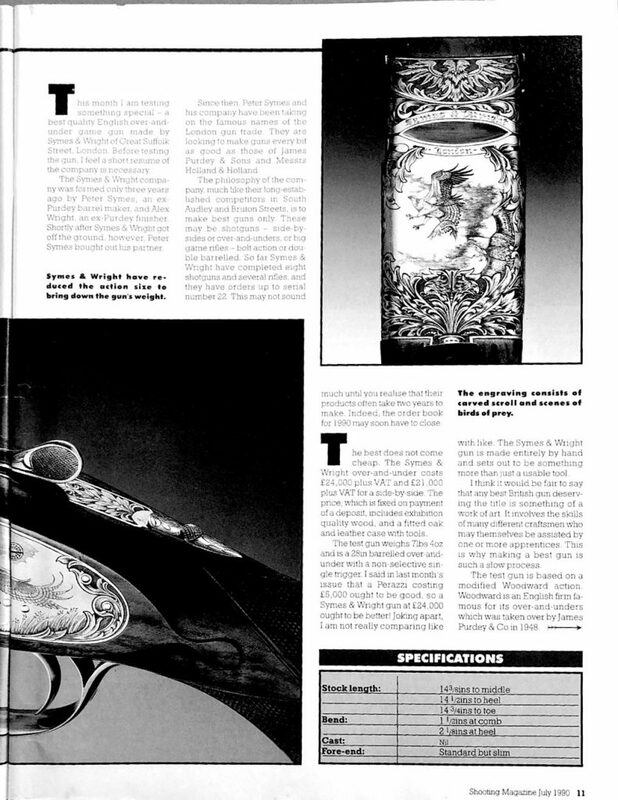 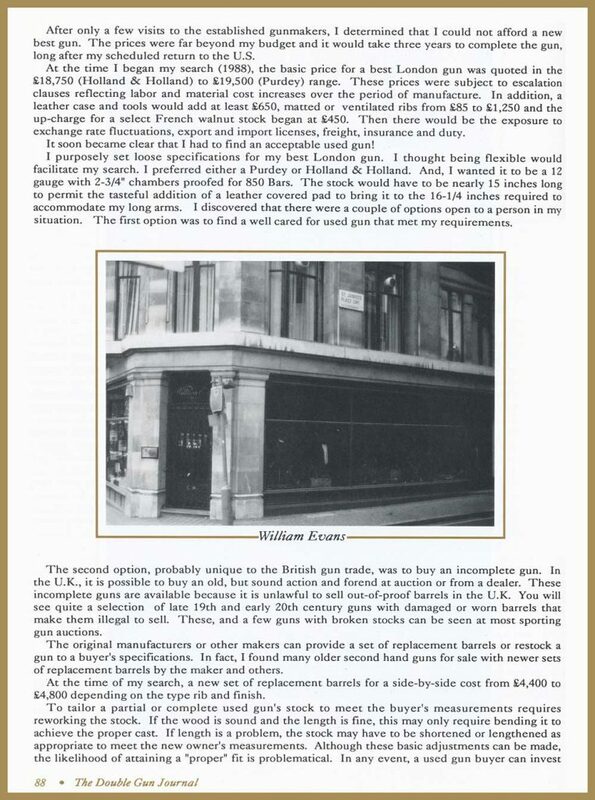 During the company’s short history it produced some of the best guns to come out of London since the 1930s.To quote from one of the company’s advertisements, “We are not trading on a reputation established over a century ago, nor do we waste energy marketing luxury goods associated with our name. 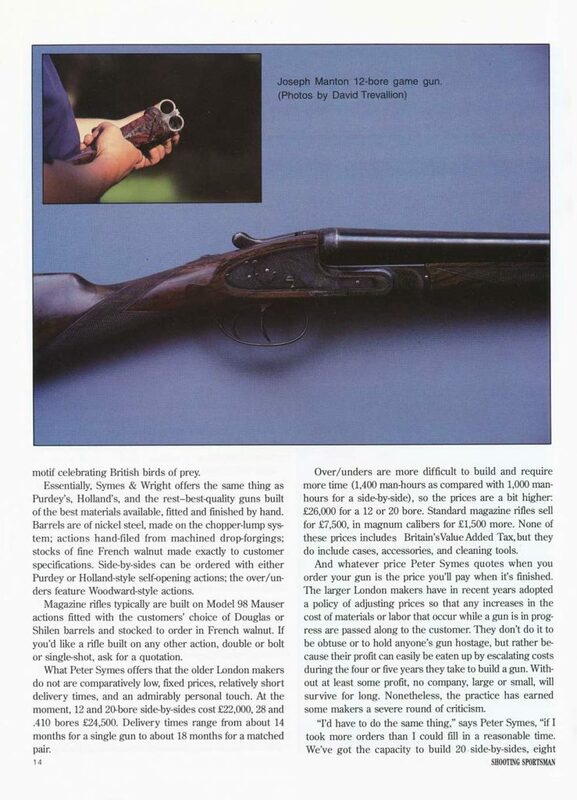 Our business is quite simply building the finest sporting guns money can buy, without compromise, without exception”. 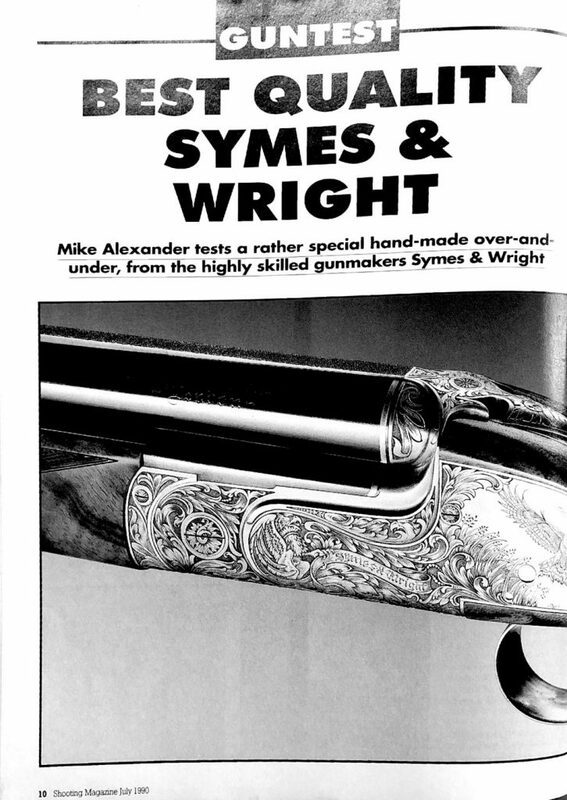 Symes & Wright were formed as a gun maker in London in 1987. 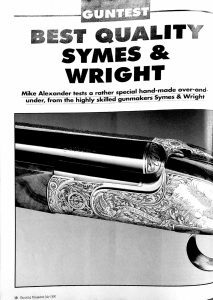 Both Peter Symes and Alex Wright had previously worked for James Purdey & Sons and decided to set up business on their own. With a flair for design and marketing and a fresh outlook, the company was quickly established as a serious competitor to the existing London makers. 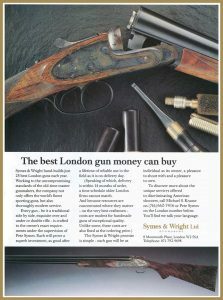 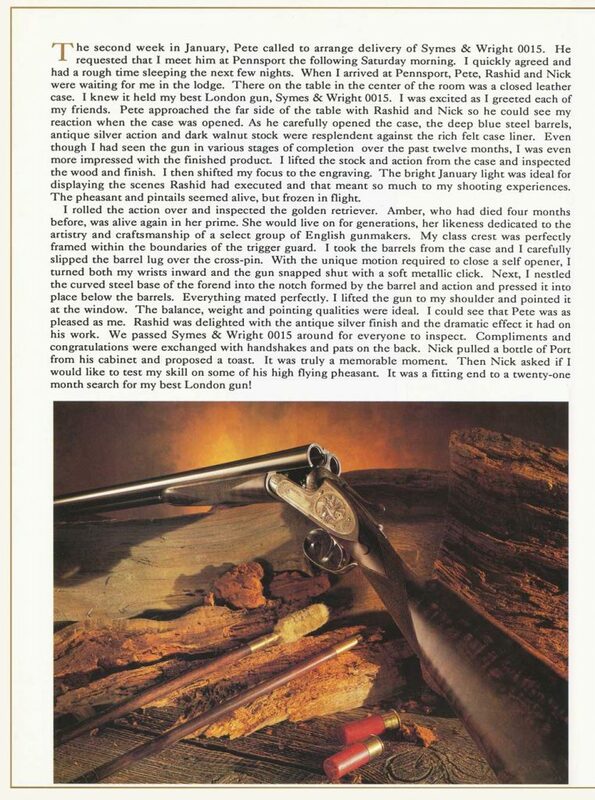 At a time when the London trade was slowly pulling out of recession and perceived as old and stuffy, Symes & Wright were like a breath of fresh air During the company’s short history it produced some of the best guns to come out of London since the 1930s. 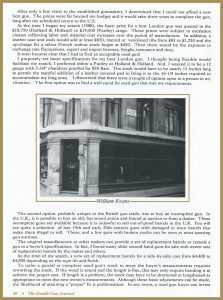 To quote from one of the company’s advertisements, “We are not trading on a reputation established over a century ago, nor do we waste energy marketing luxury goods associated with our name. 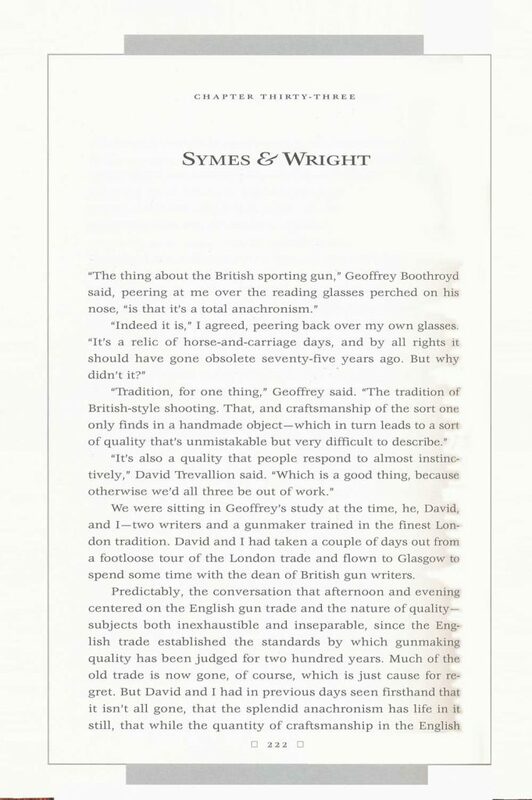 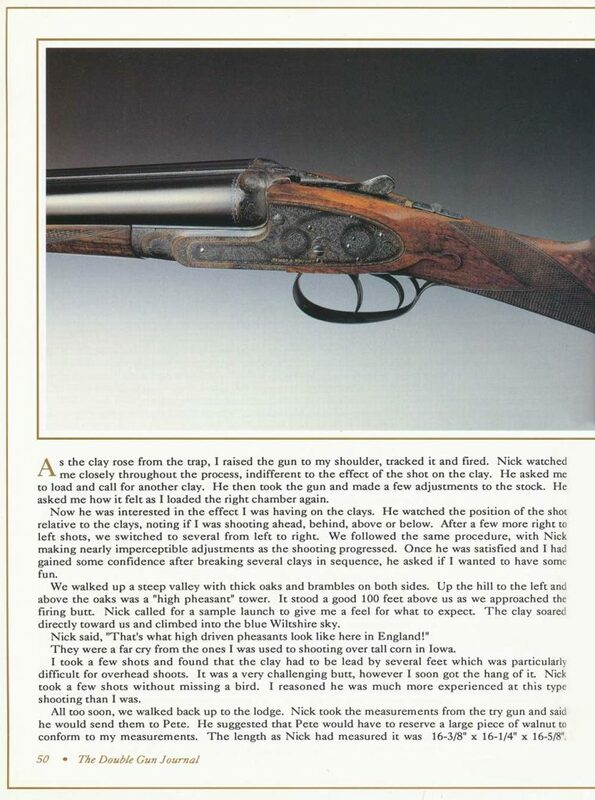 Our business is quite simply building the finest sporting guns money can buy, without compromise, without exception”.